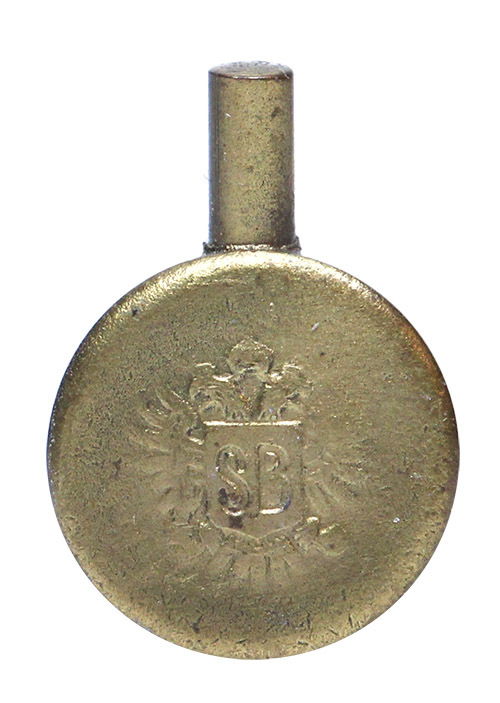 In 1825, not long after the dissolution of the Holy Roman Empire, Francis I, Emperor of Austria, gave permission to the Frenchman, Louis Sellier to open a percussion cap factory in Prague, the capital of Bohemia which was part of the Austrian Empire. 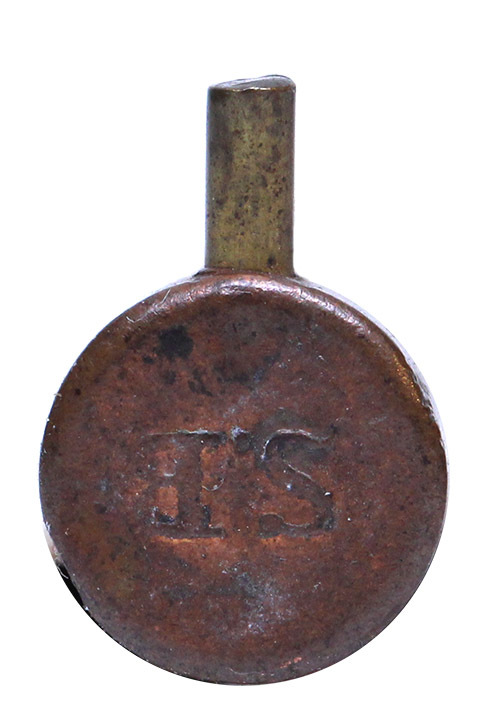 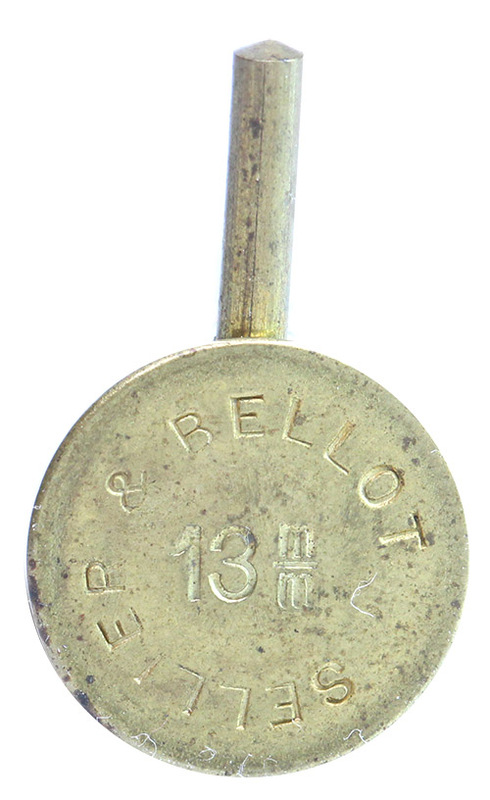 Not long after this another Frenchman, Jean Maria Nicolaus Bellot, joined Sellier and helped propel the company to one of the leaders in percussion cap manufacturing. 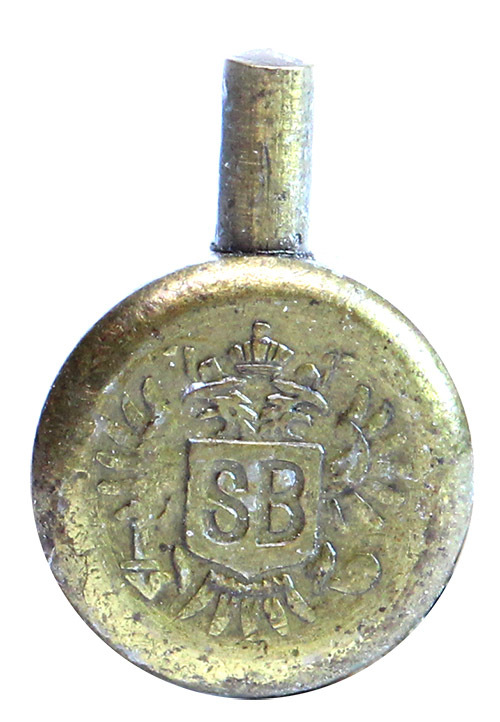 In 1829 they opened up a second manufacturing plant in Schőnebeck which was in Prussia. 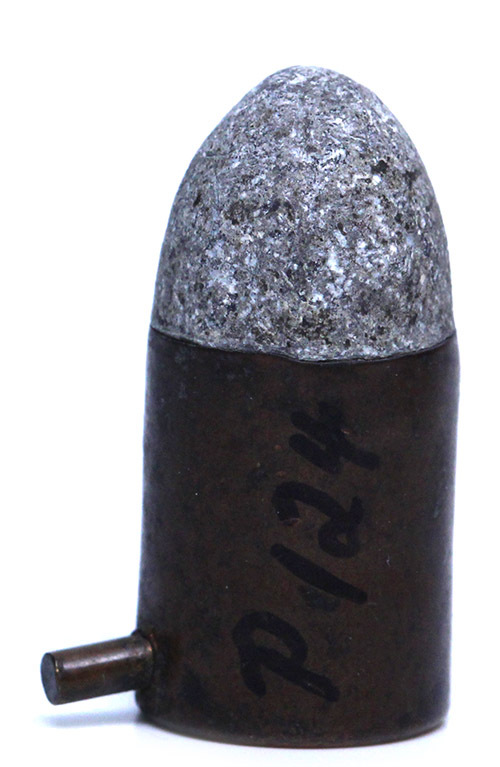 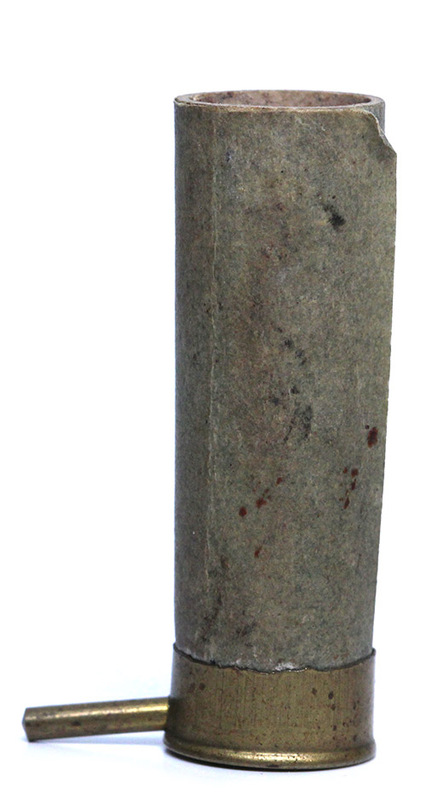 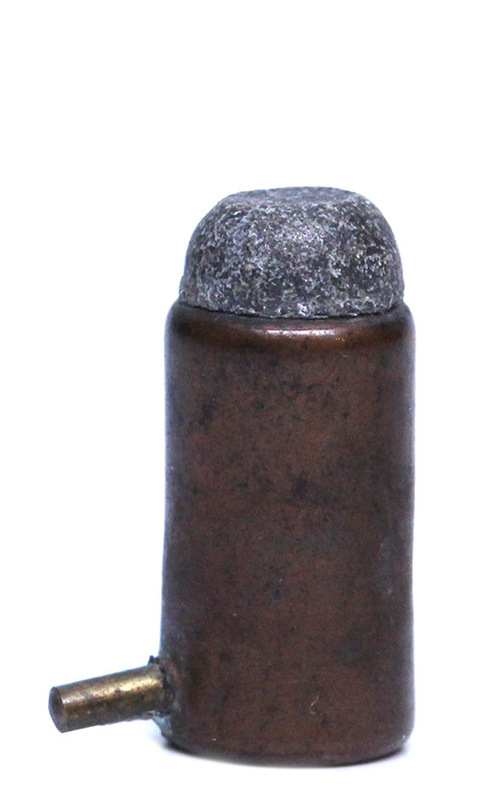 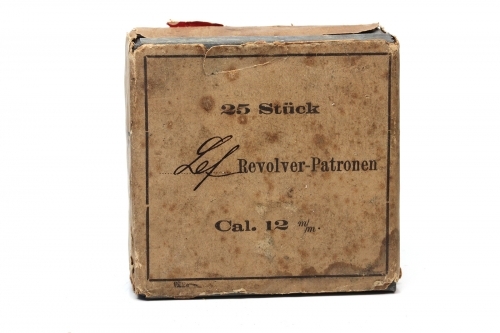 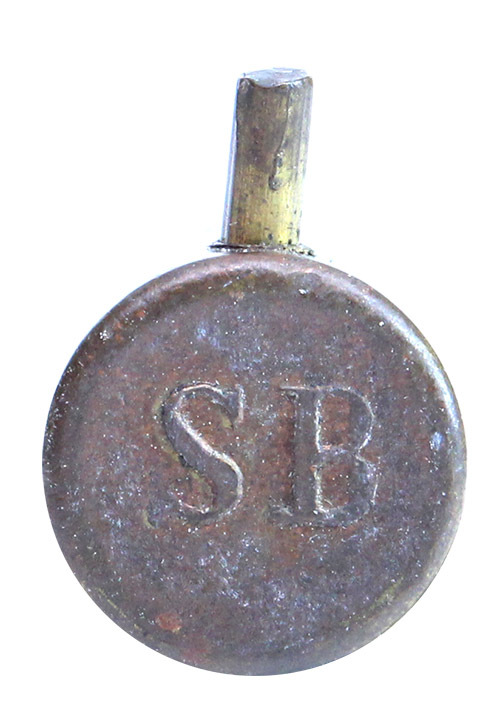 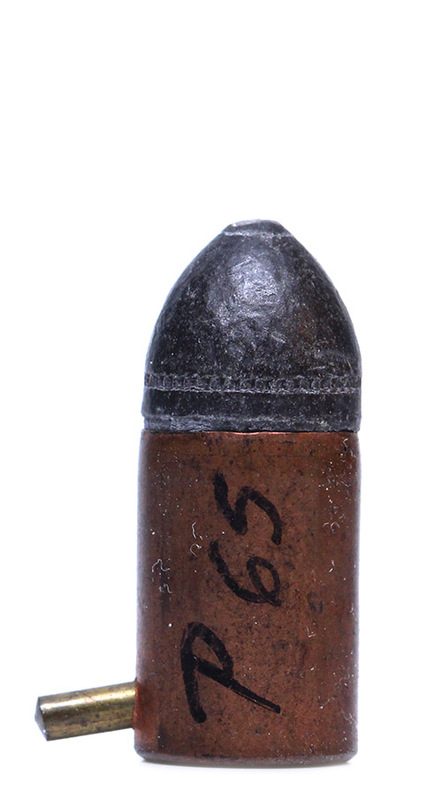 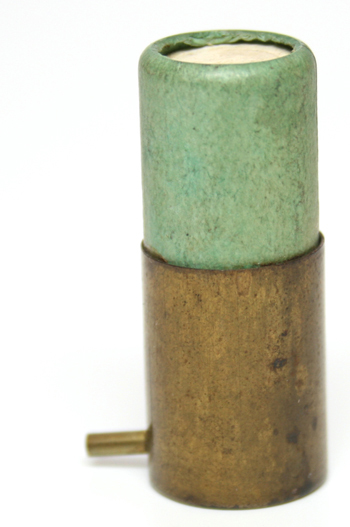 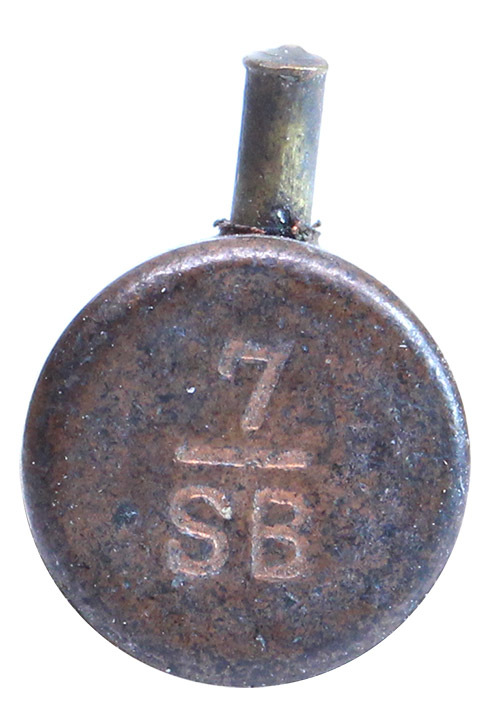 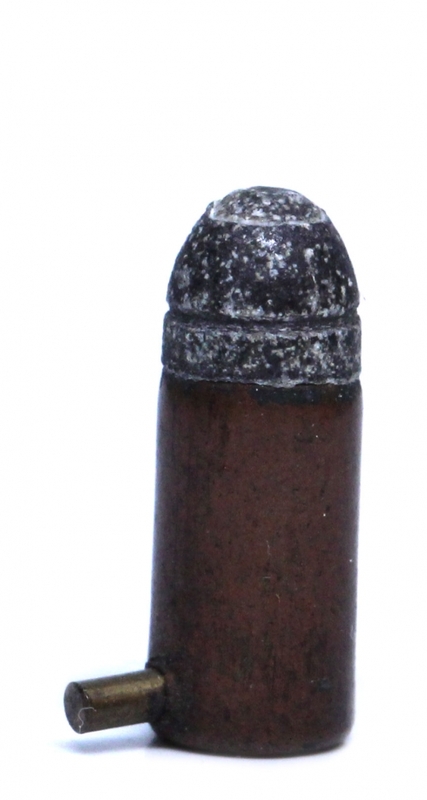 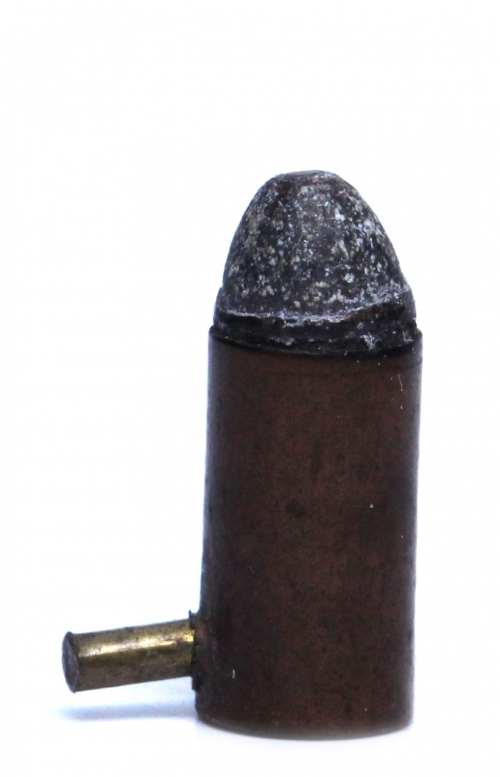 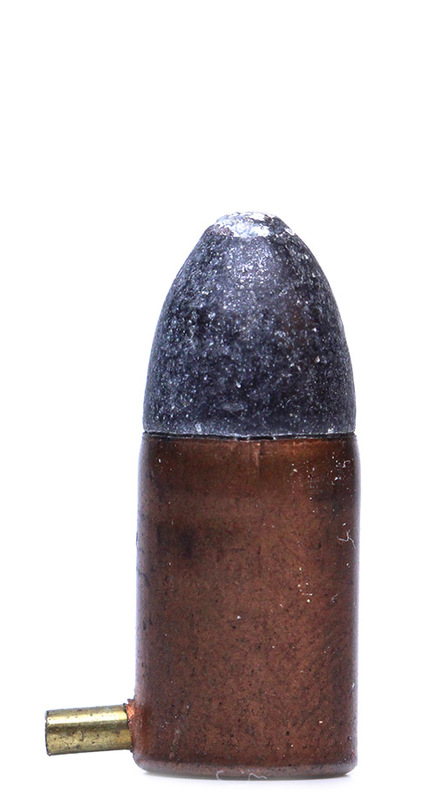 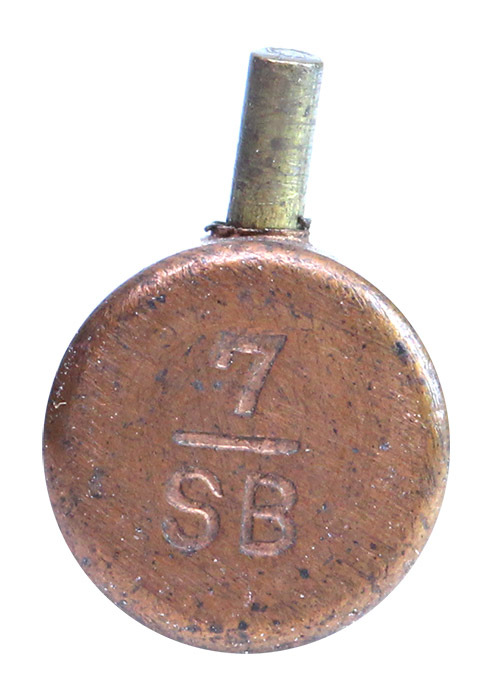 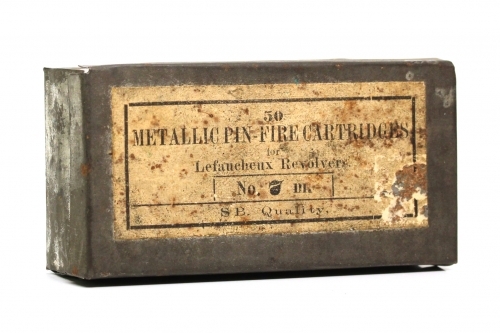 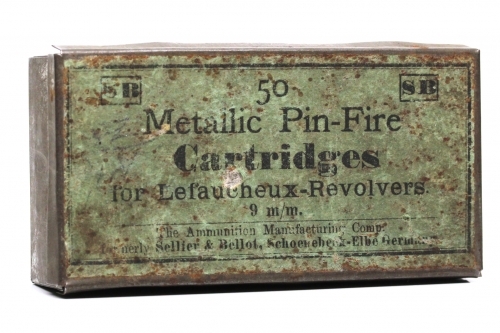 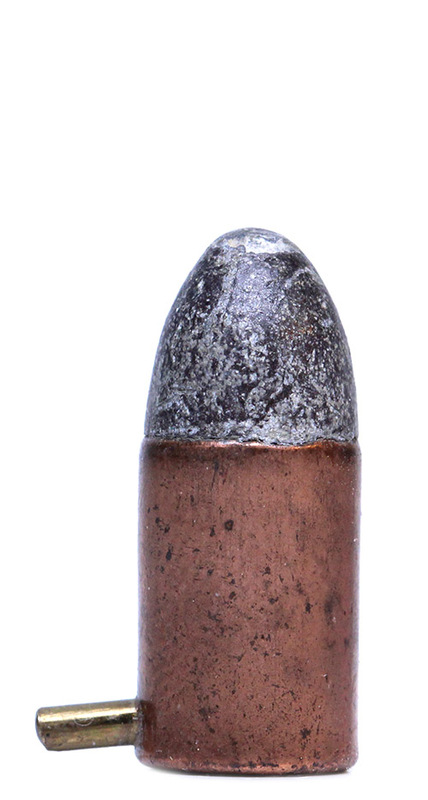 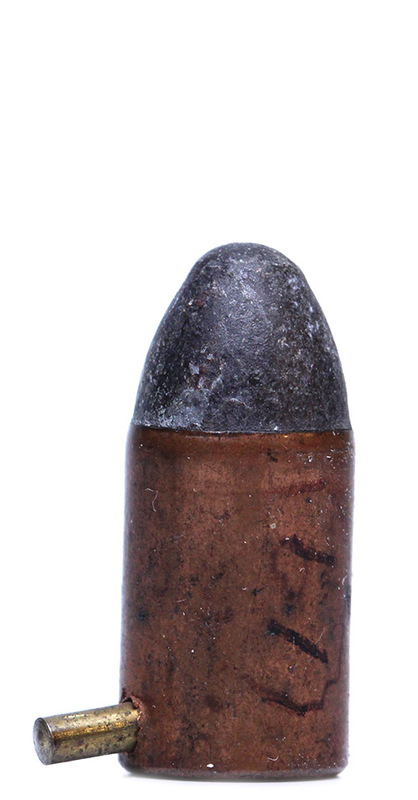 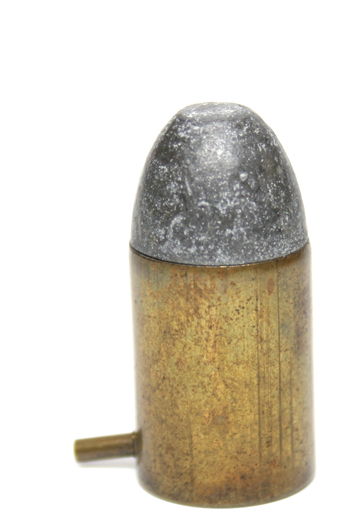 Nearly 45 years later, in 1870, Sellier & Bellot began manufacturing pinfire cartridges. 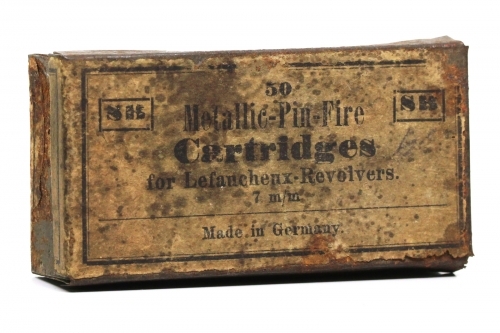 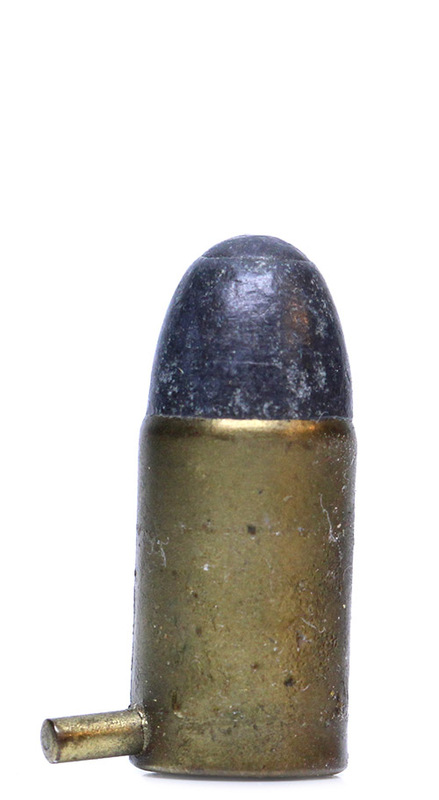 Their cartridge manufacturing kept them as one of the major ammunition manufacturers of the time. 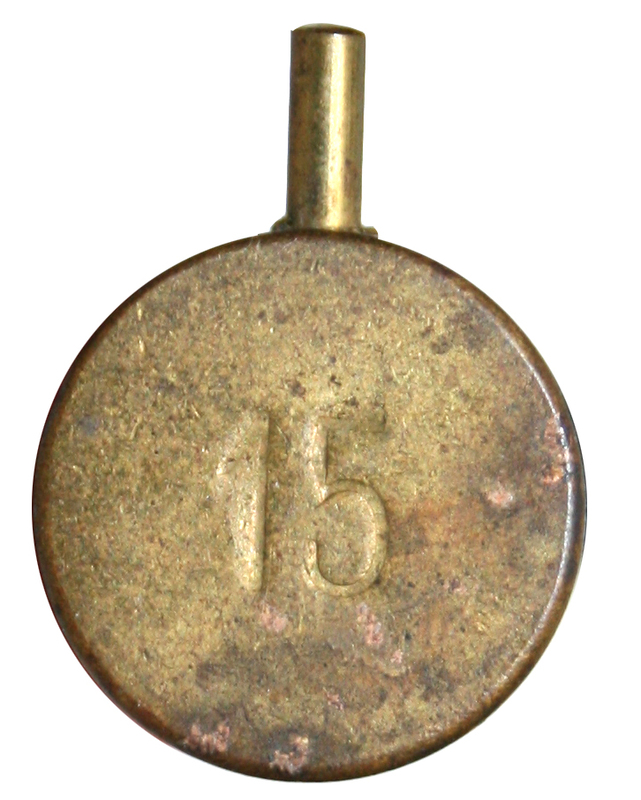 Not satisfied with serving just the Austrian, Hungarian and German markets, in 1884 they opened yet another plant in Riga, part of the Russian Empire. 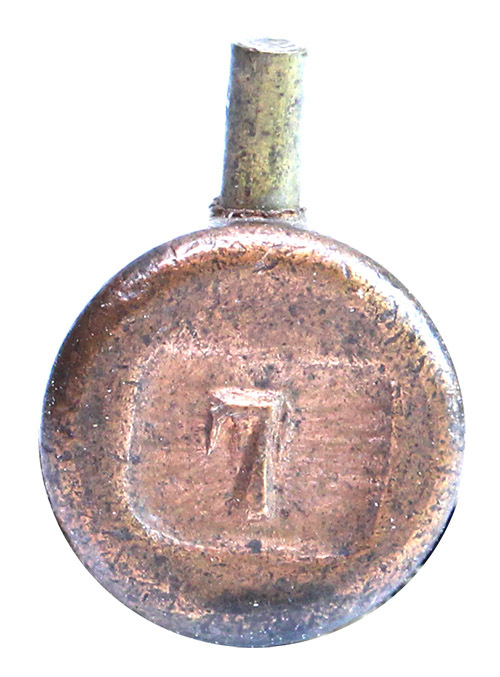 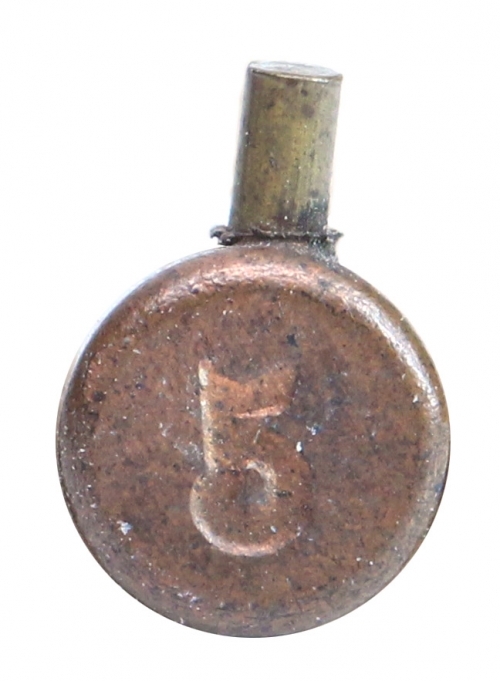 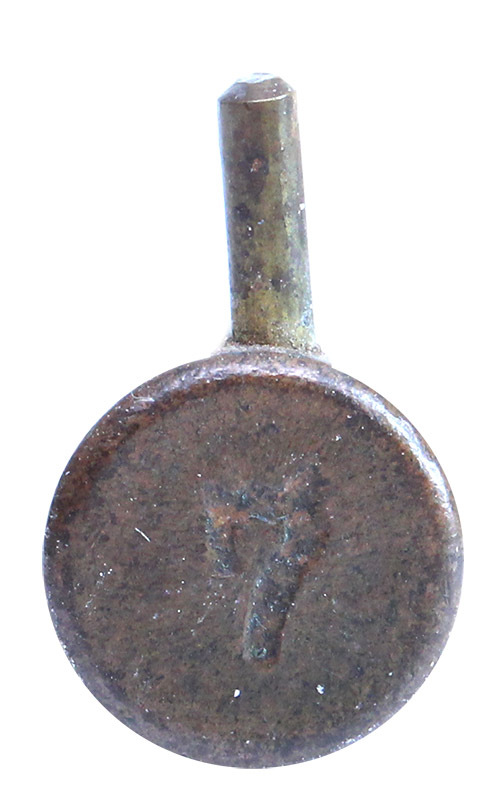 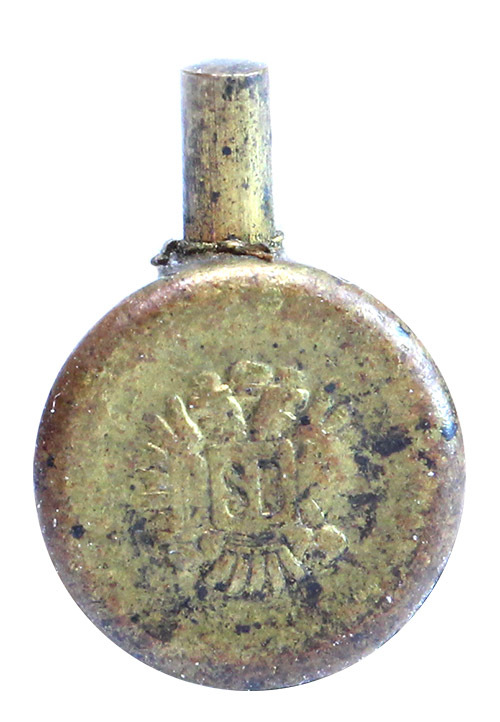 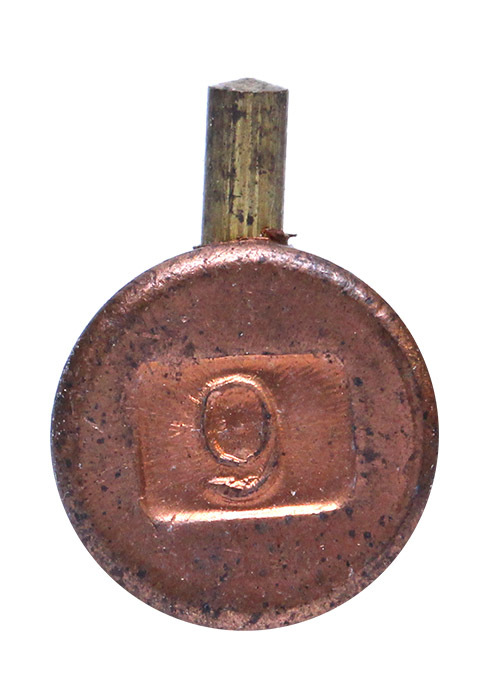 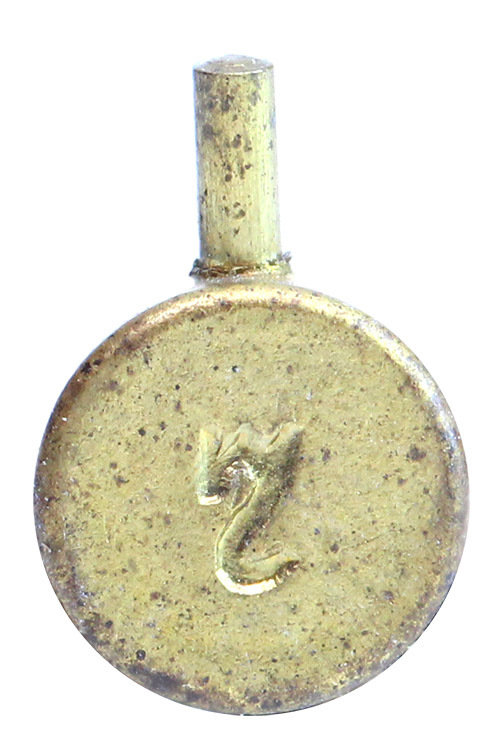 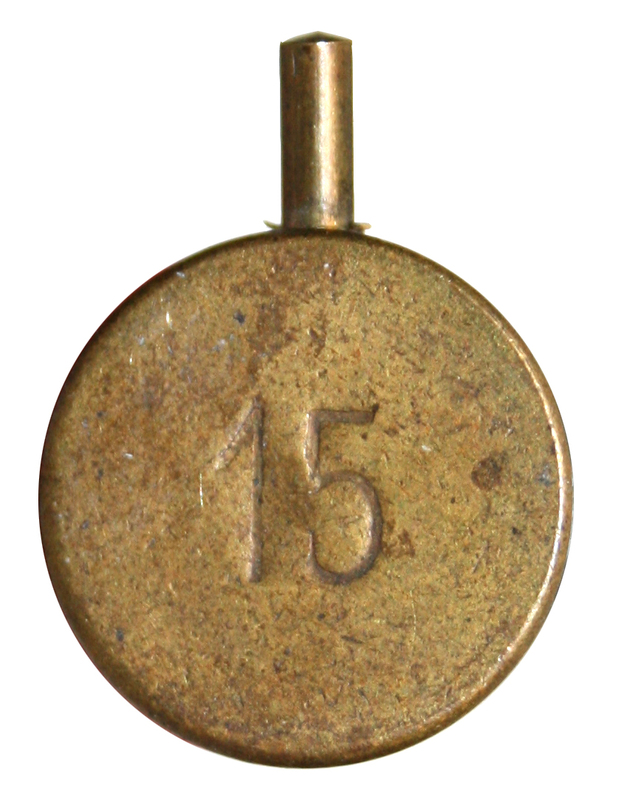 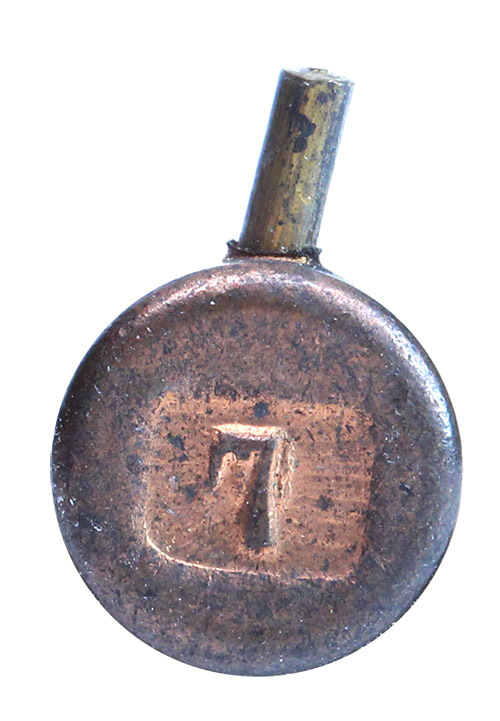 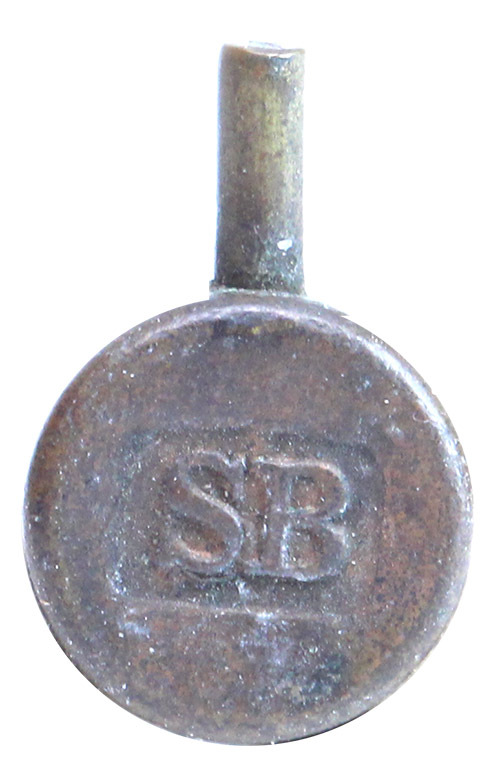 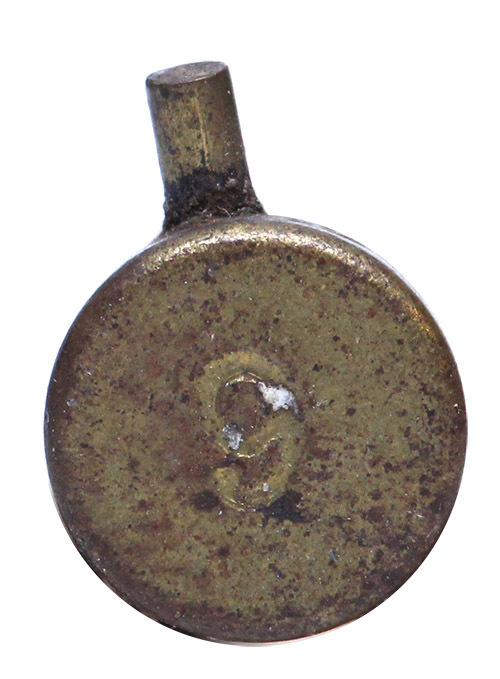 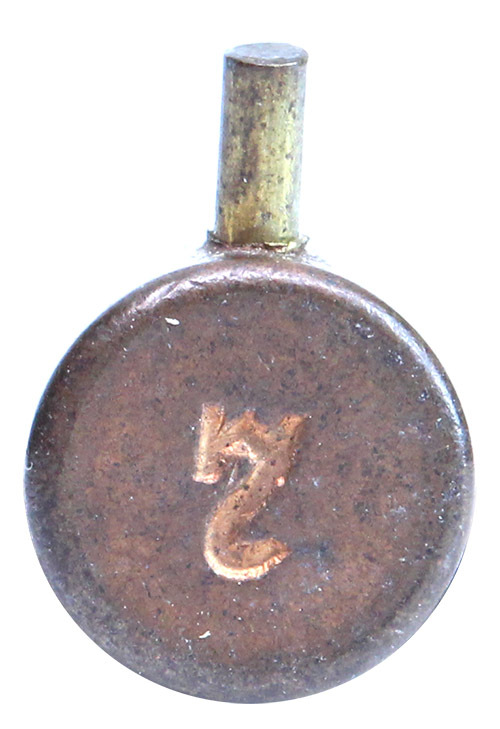 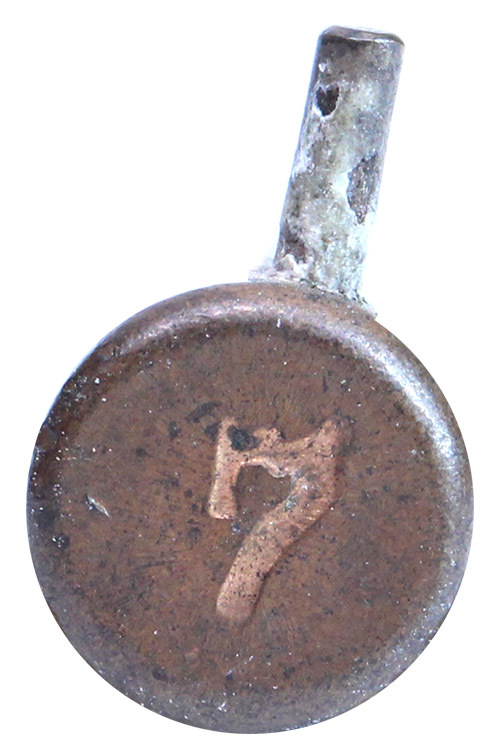 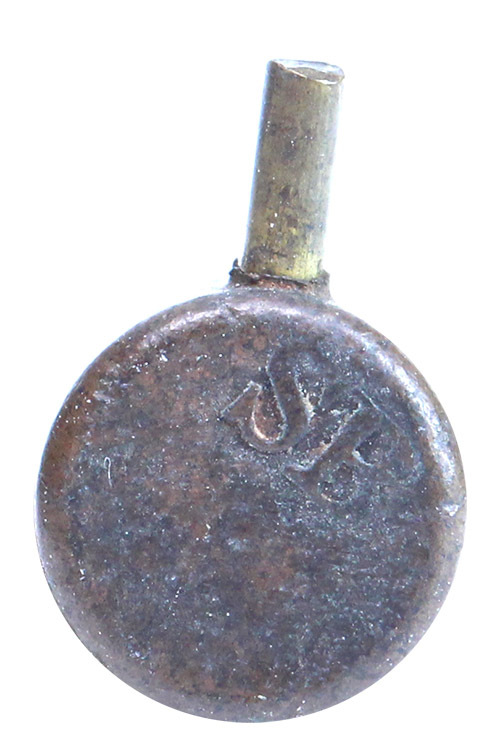 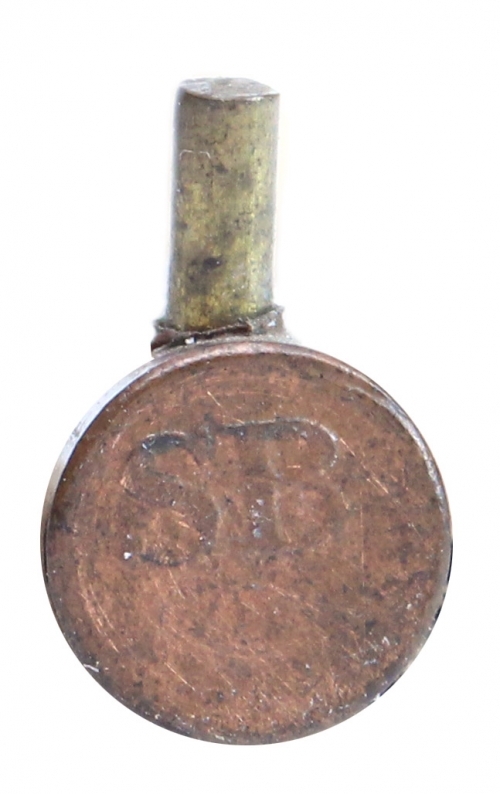 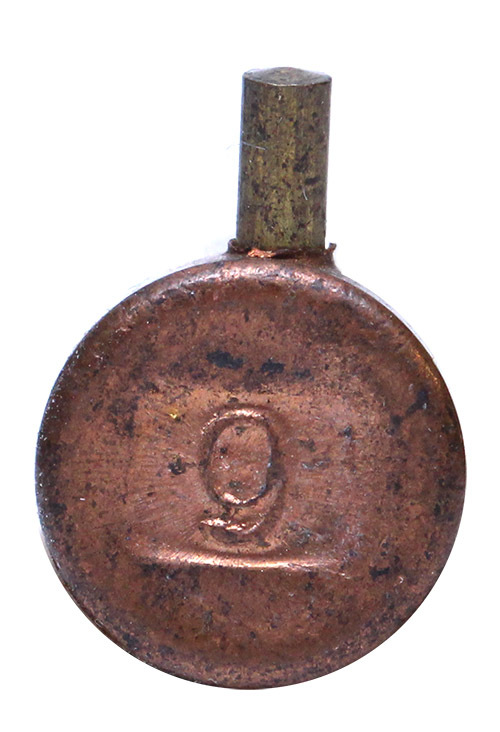 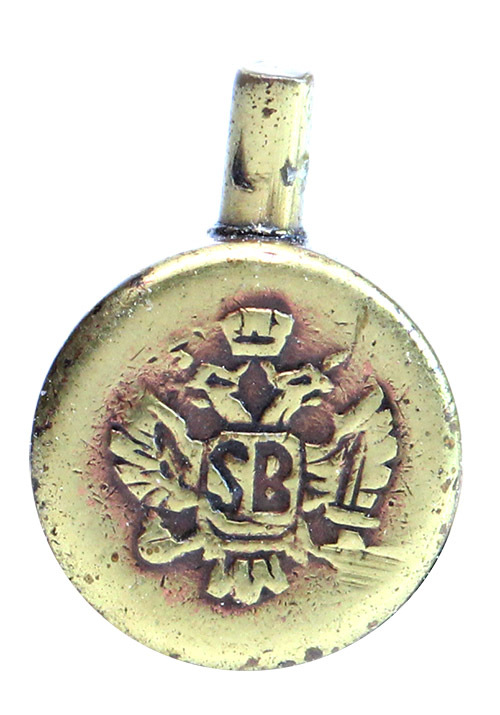 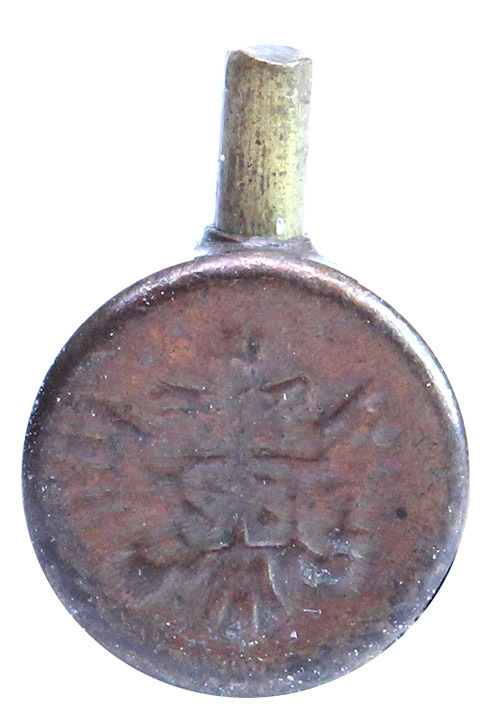 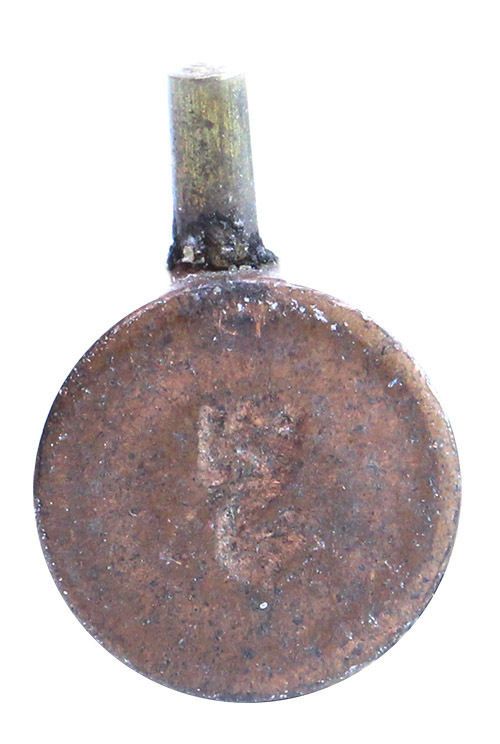 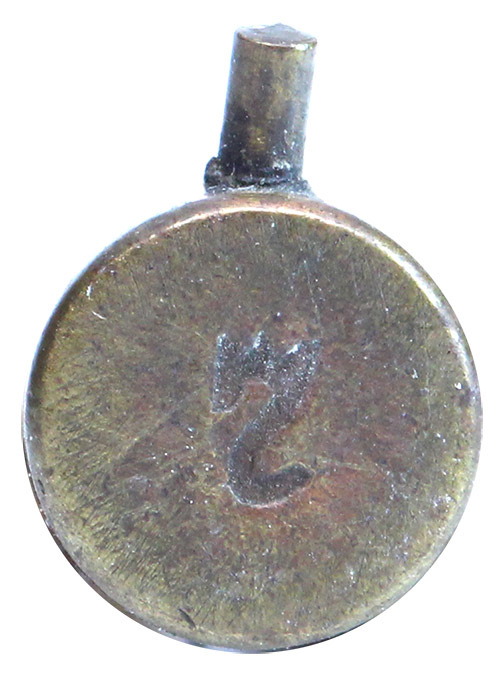 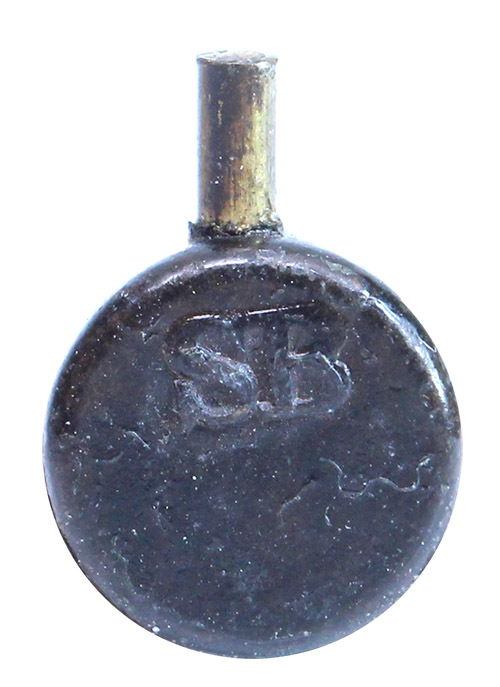 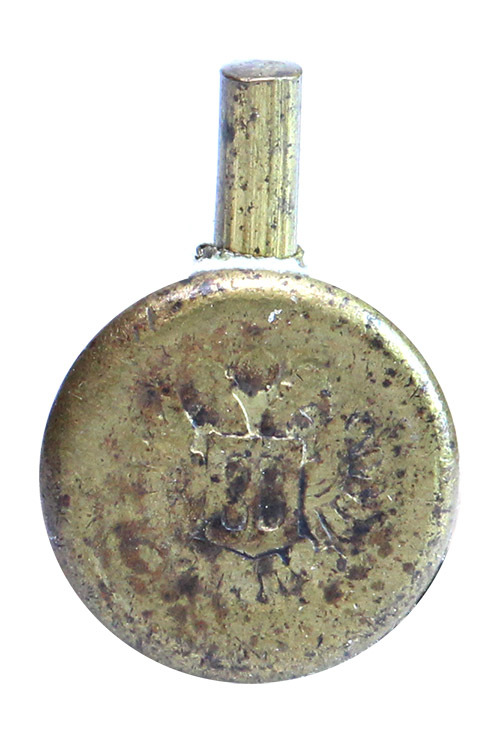 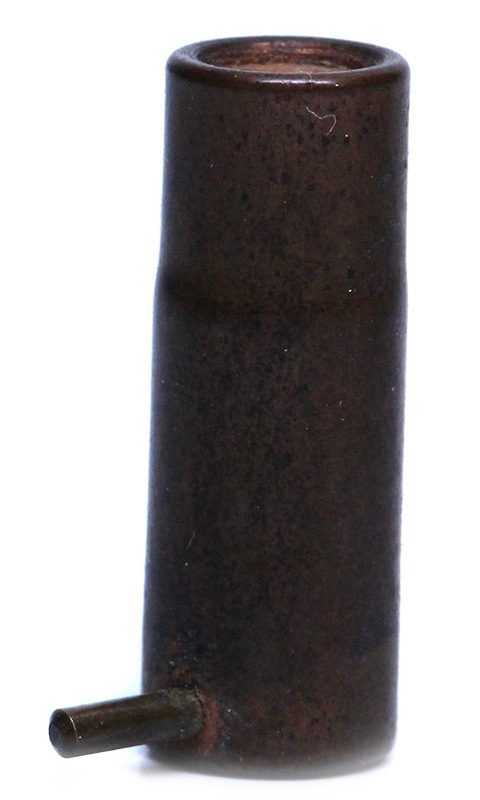 This helped them provide percussion caps and cartridges to not only the Baltic States, but much of Scandinavia and the rest of the Russian Empire. 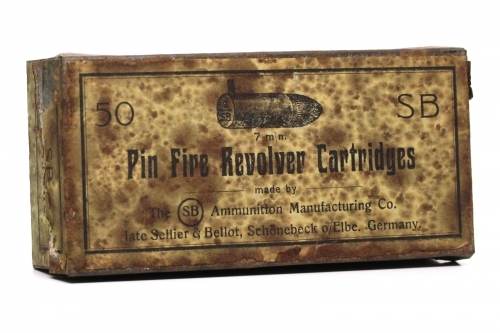 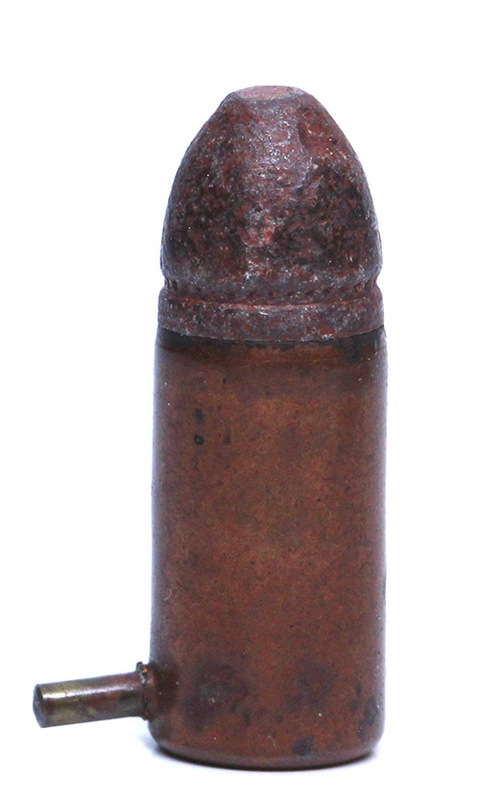 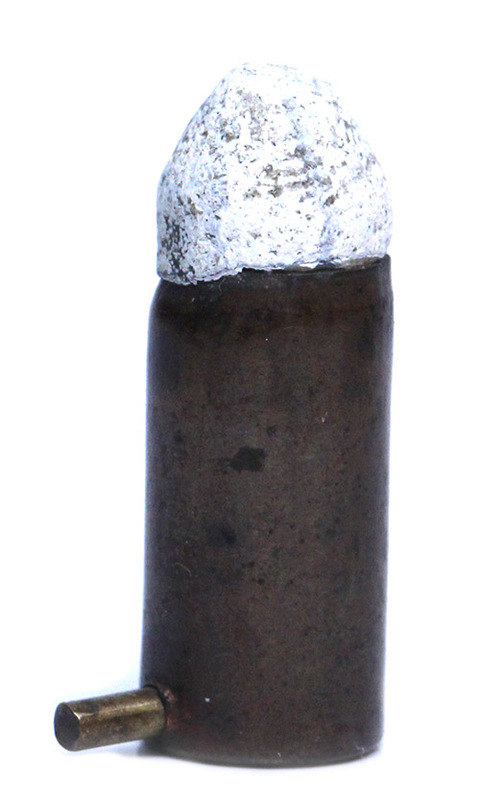 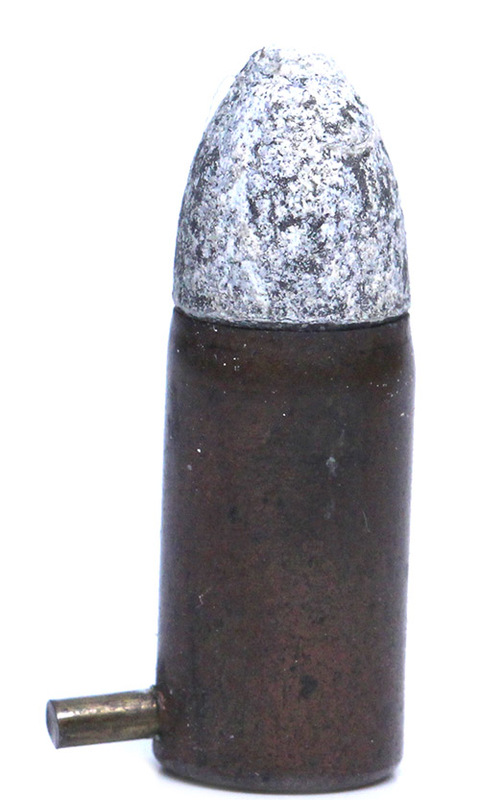 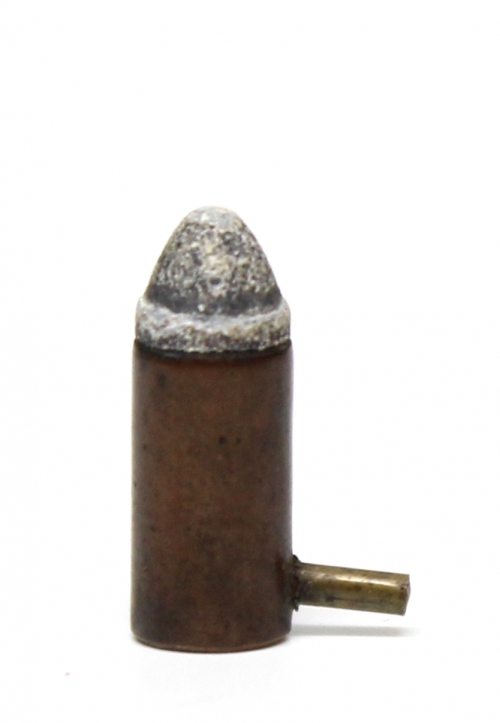 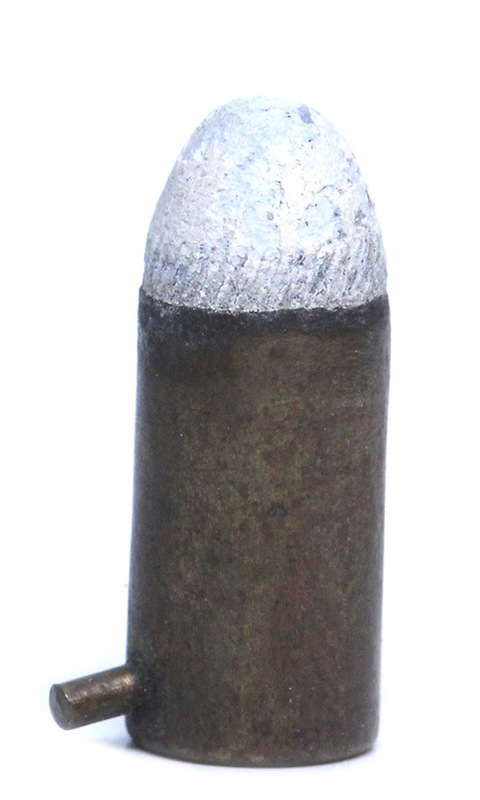 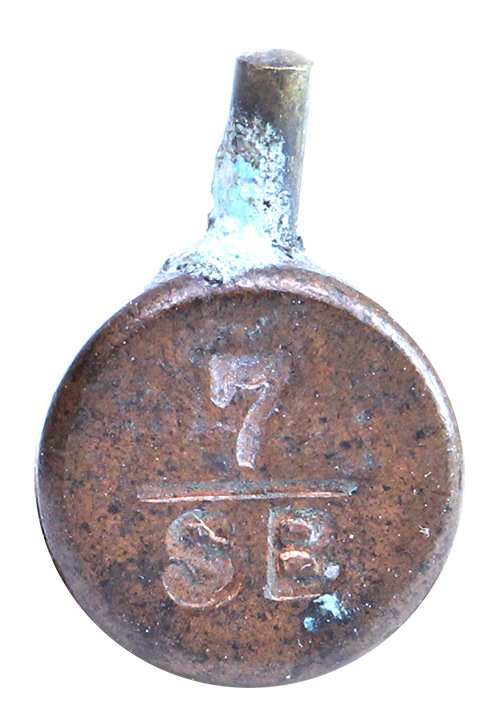 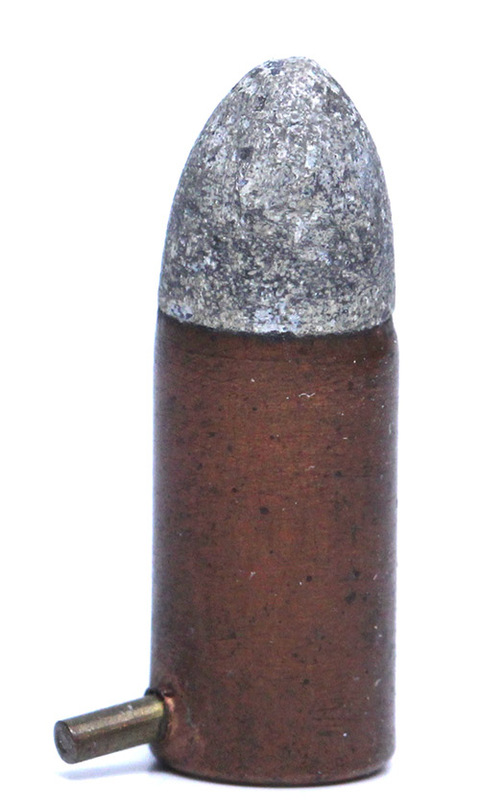 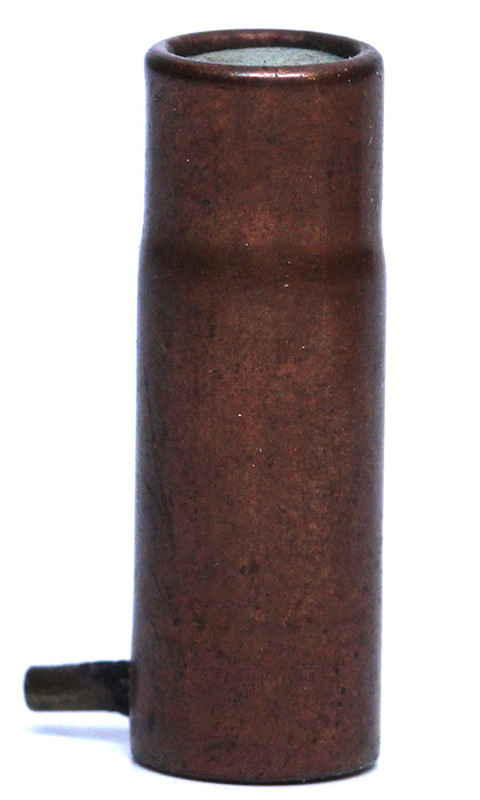 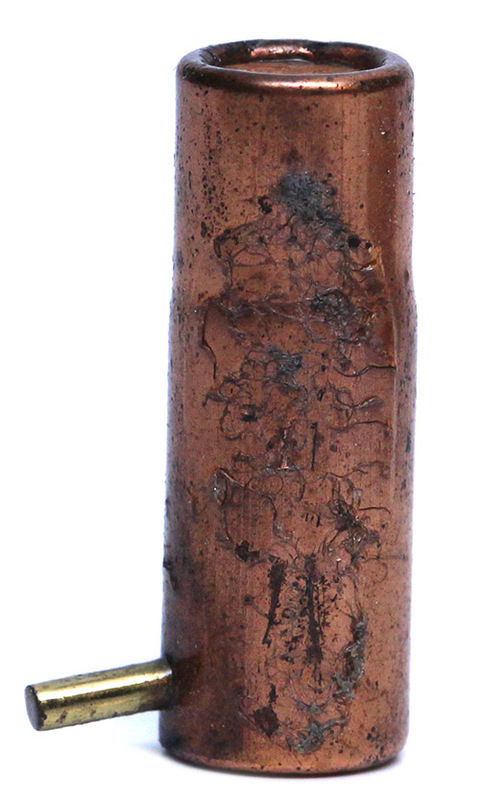 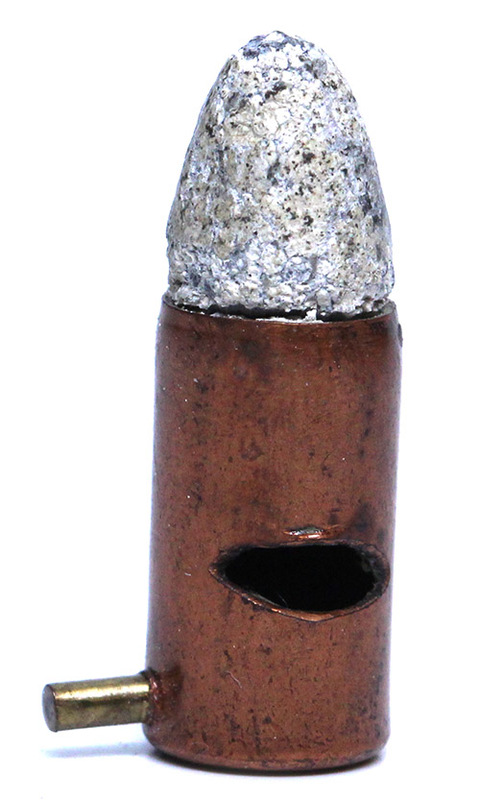 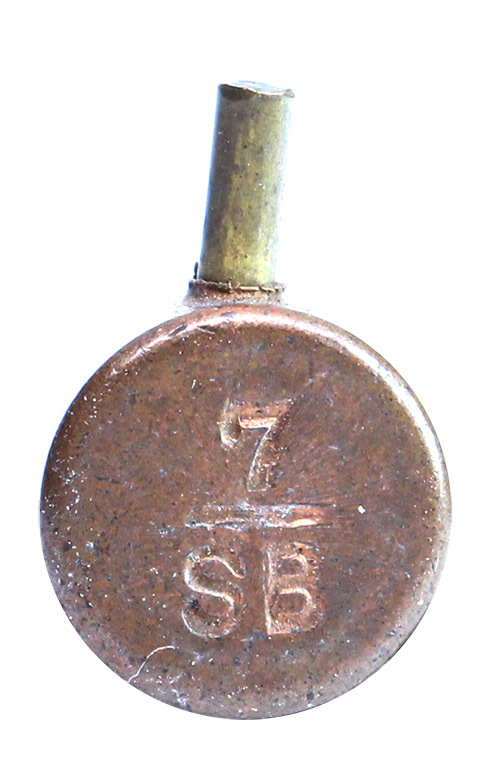 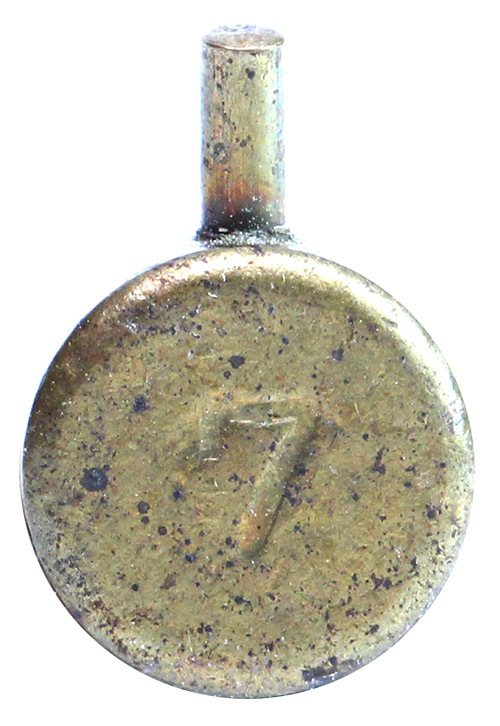 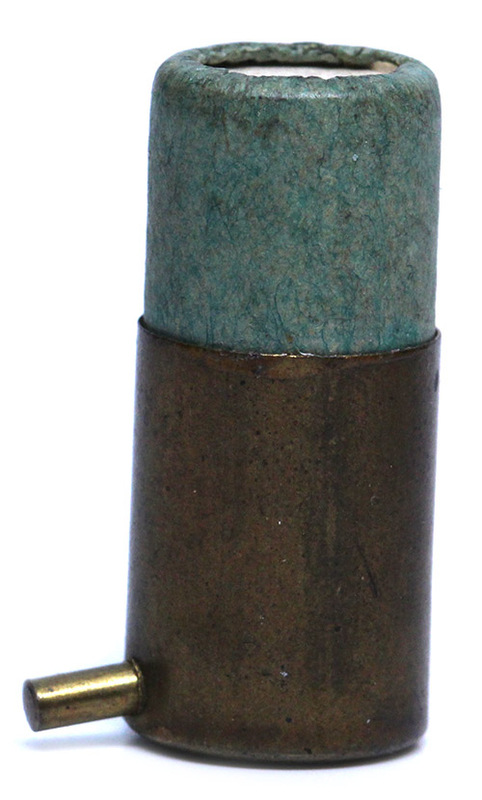 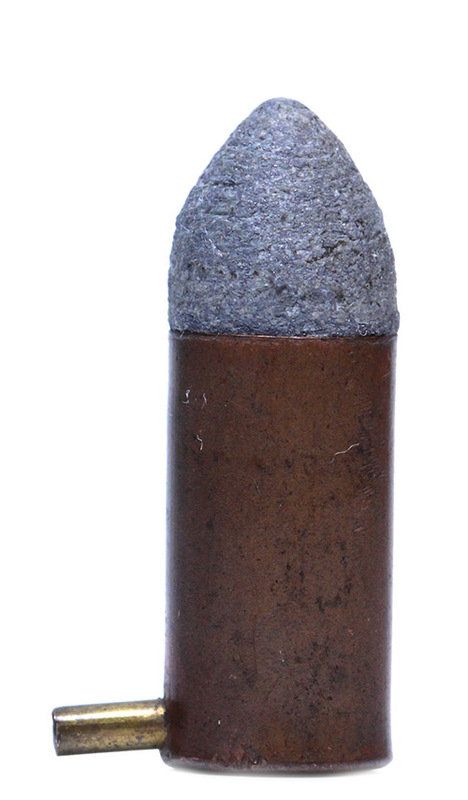 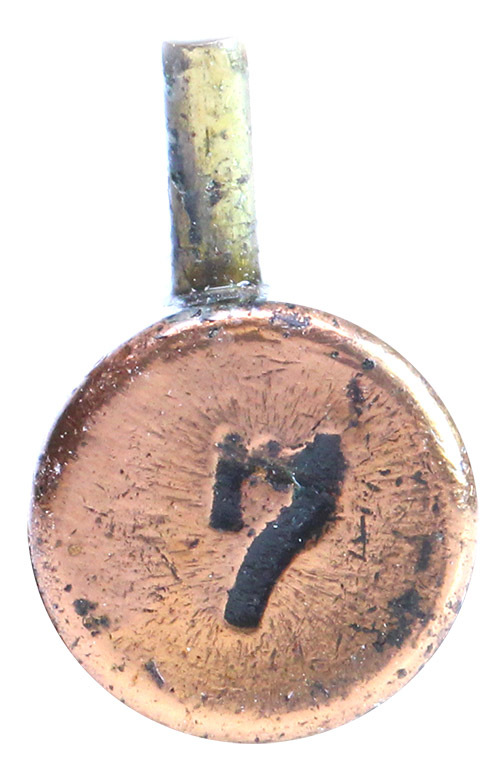 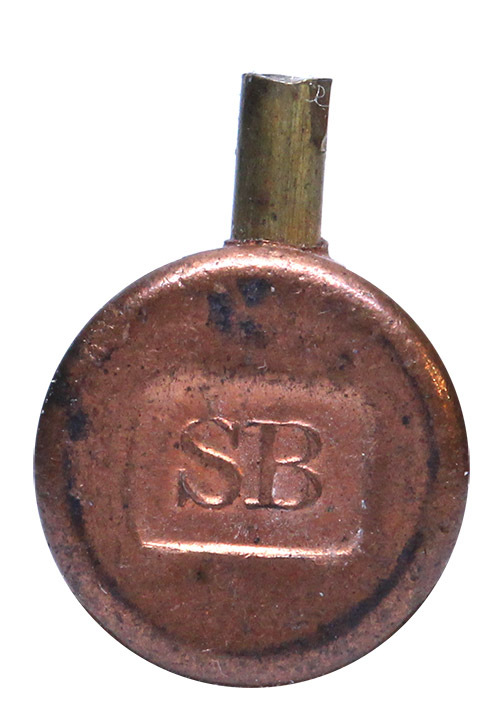 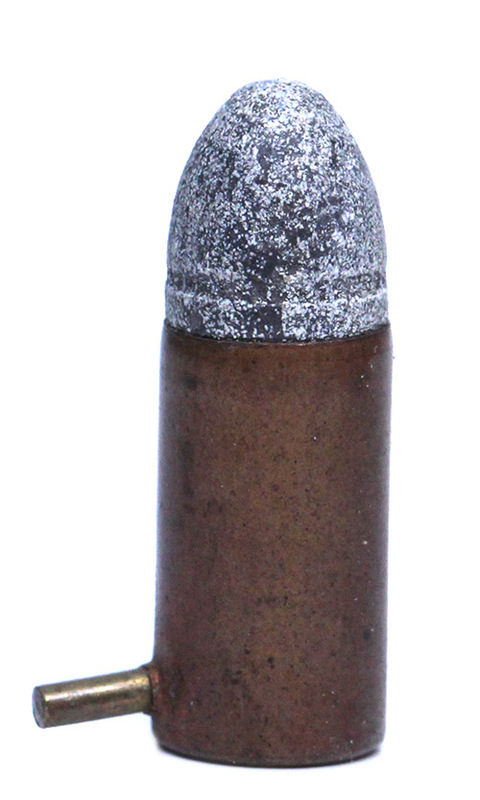 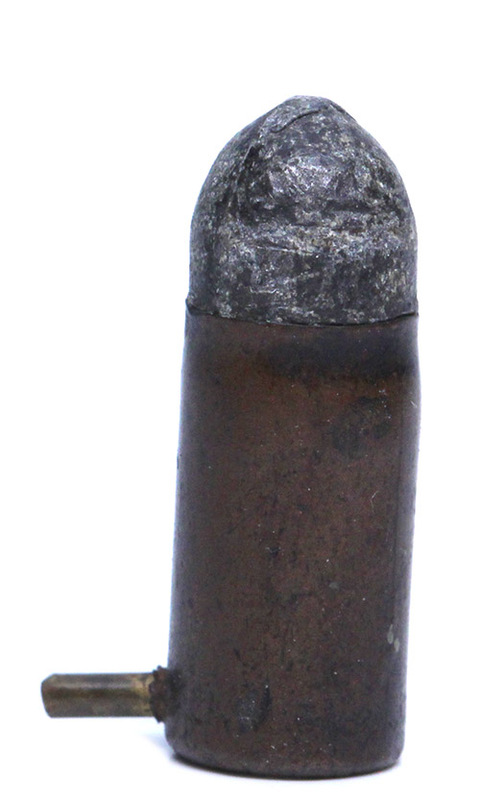 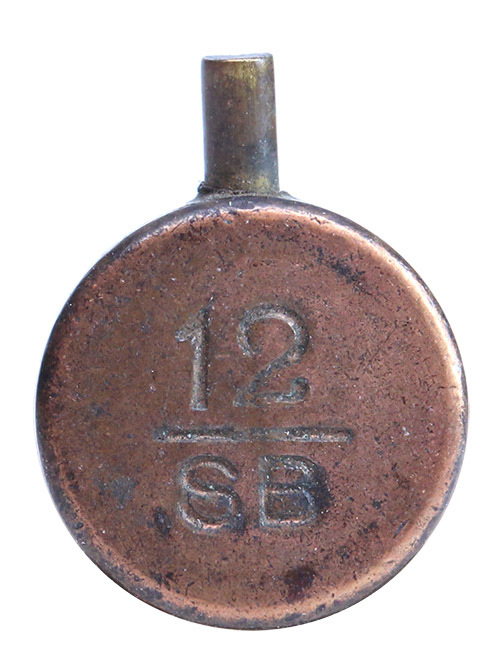 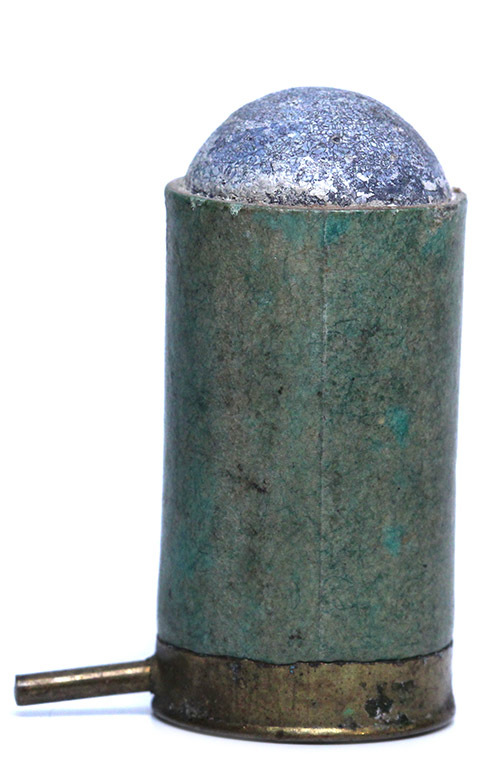 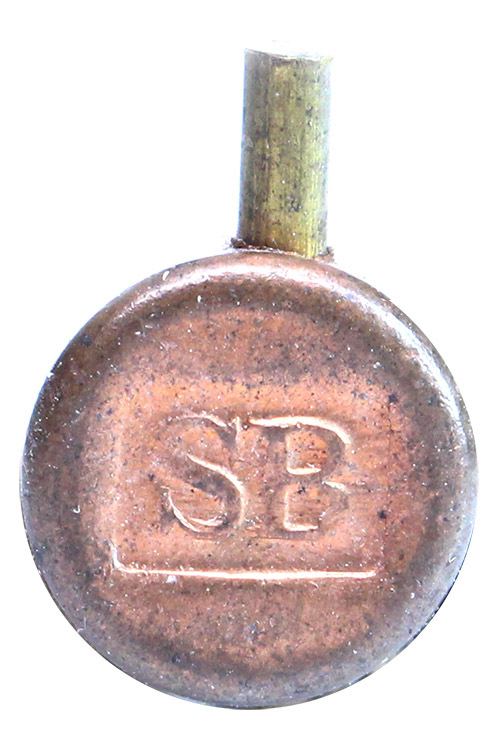 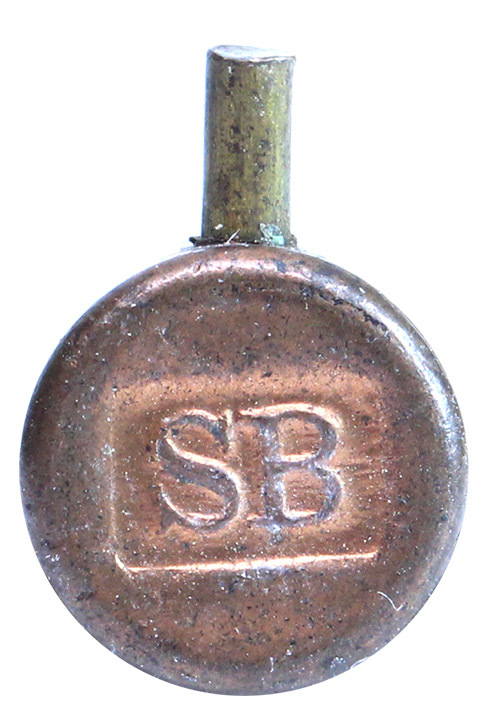 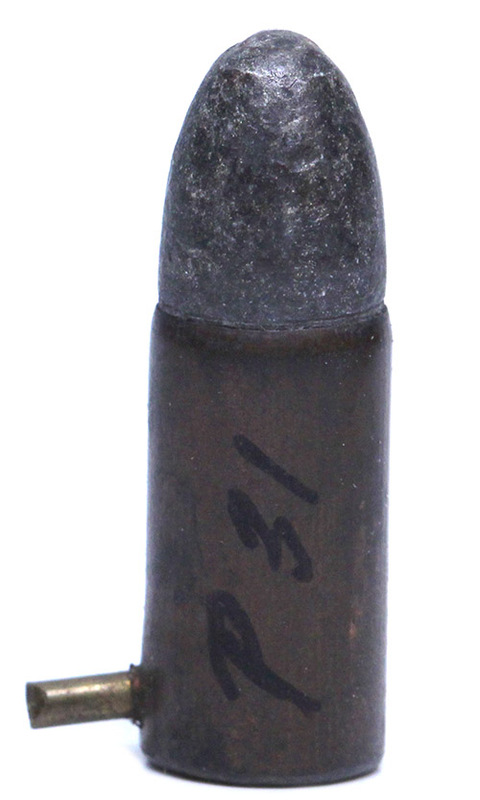 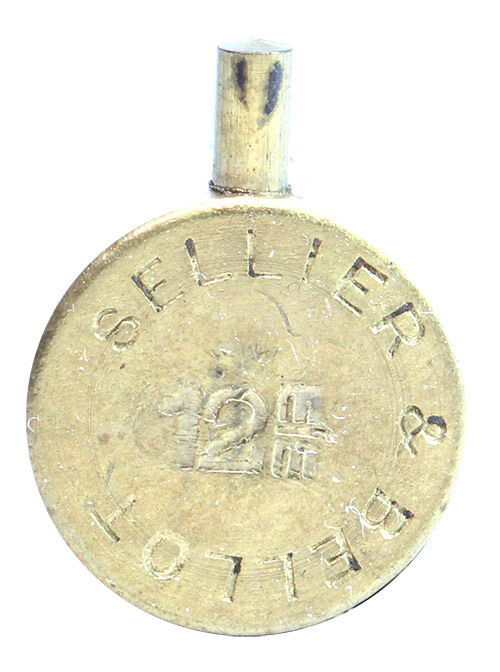 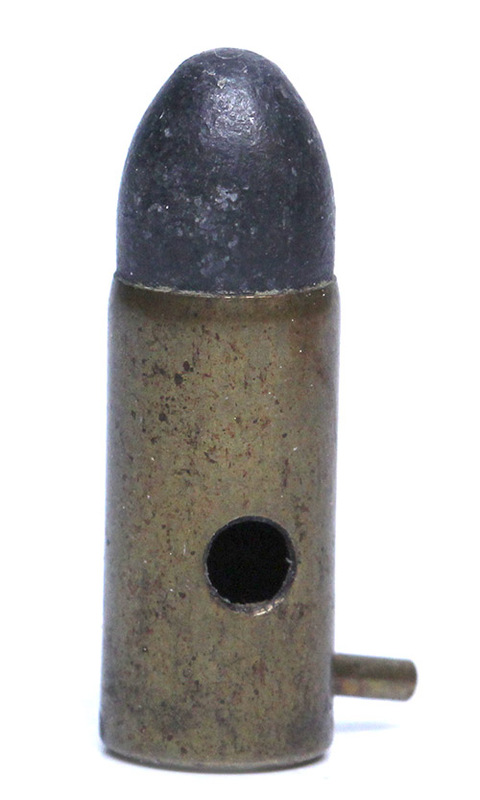 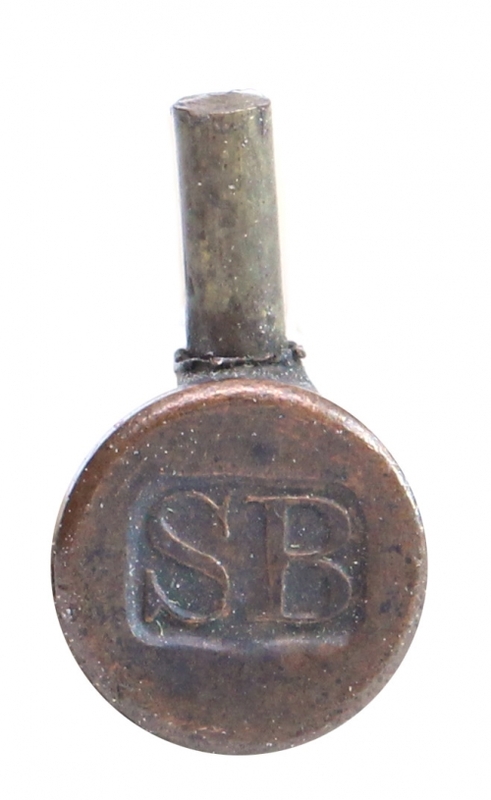 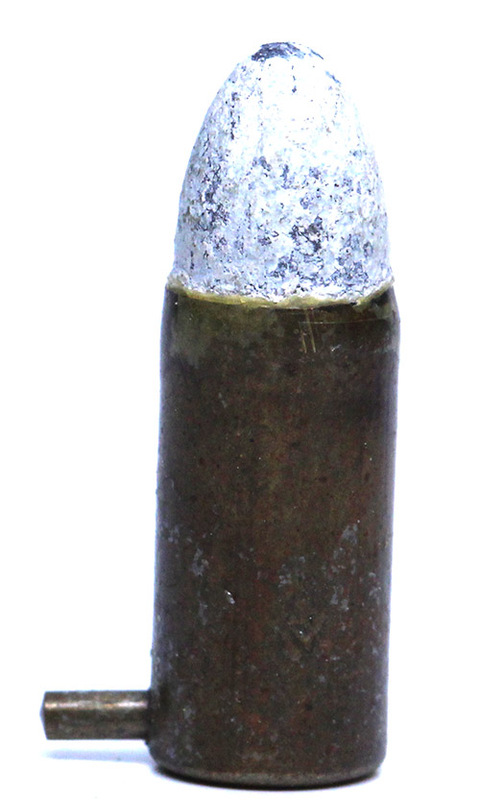 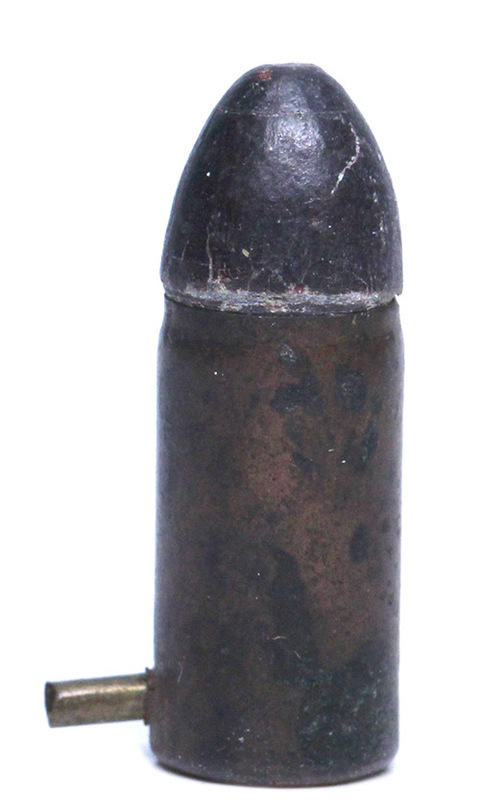 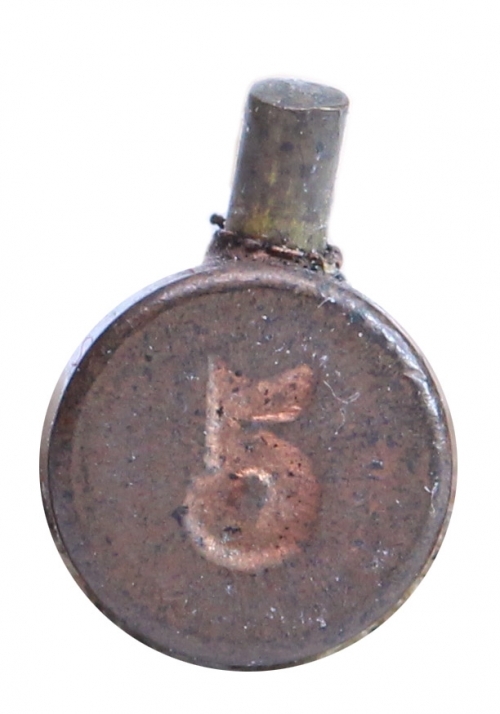 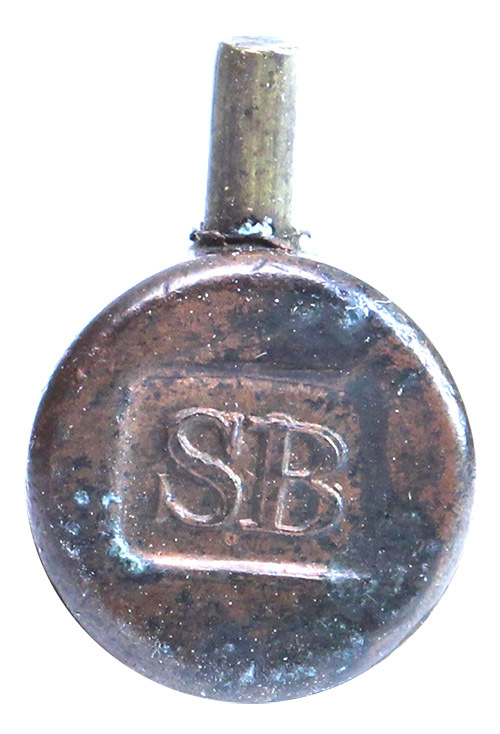 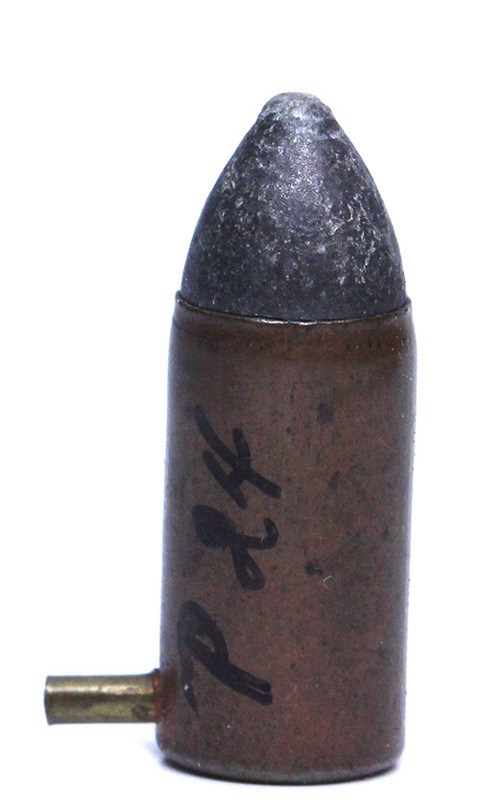 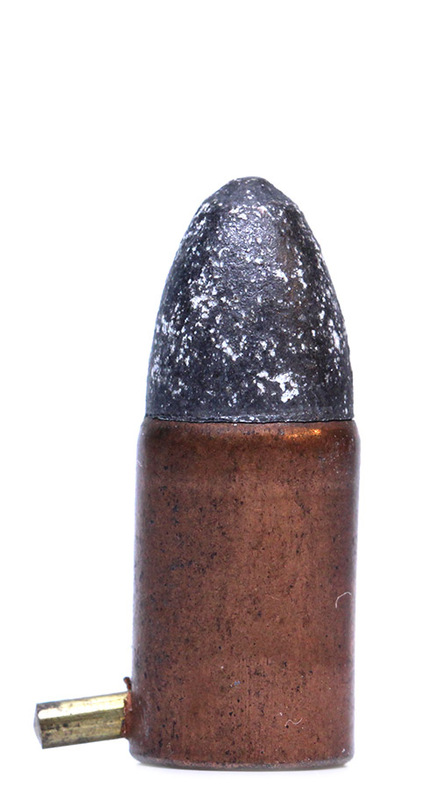 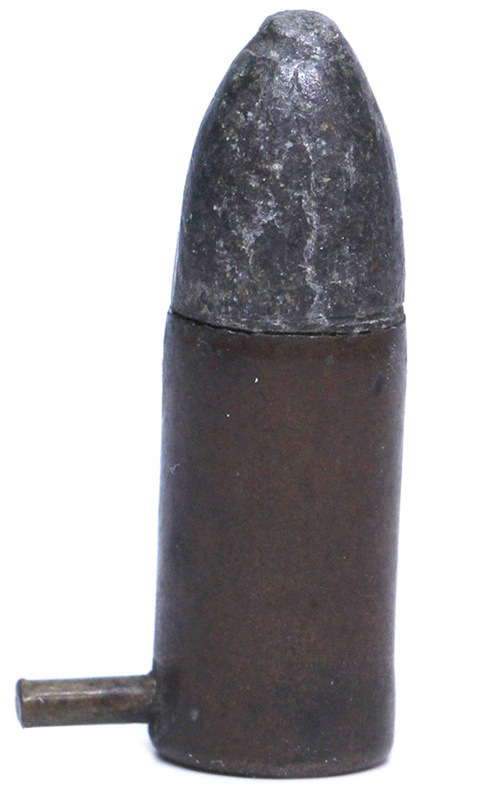 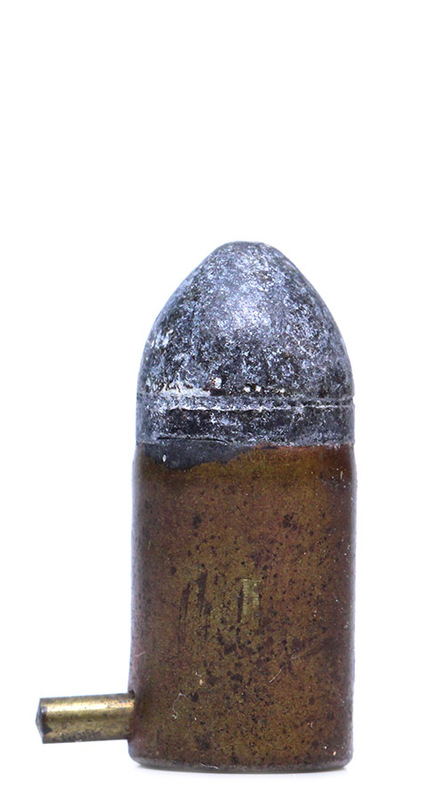 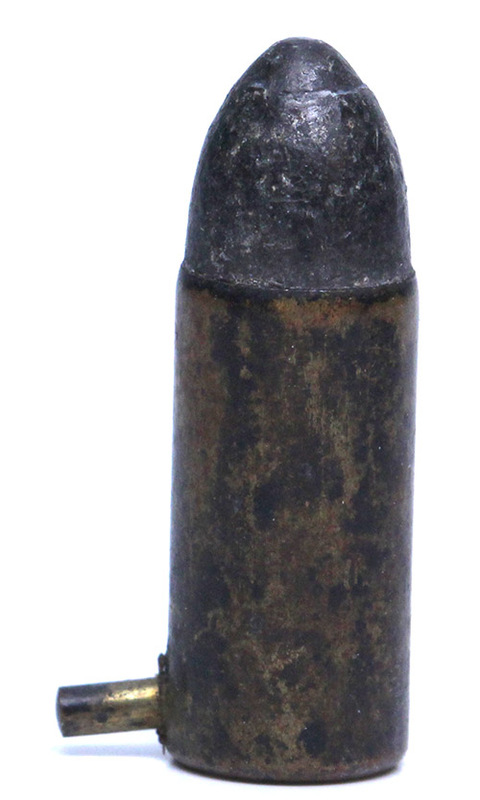 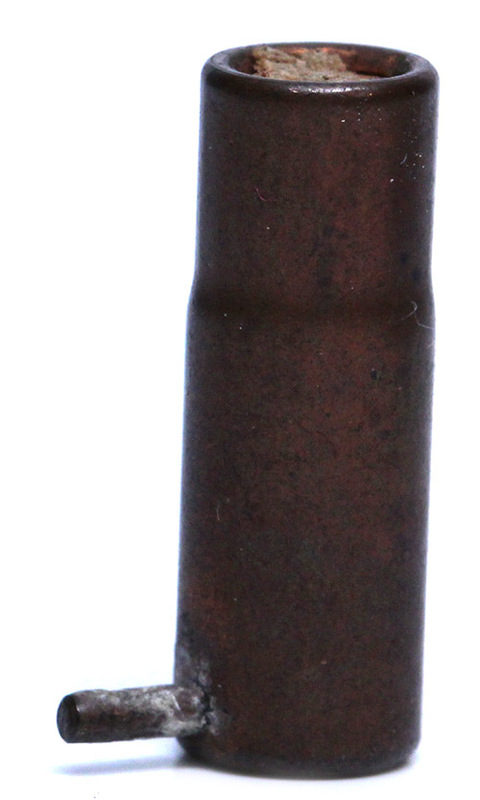 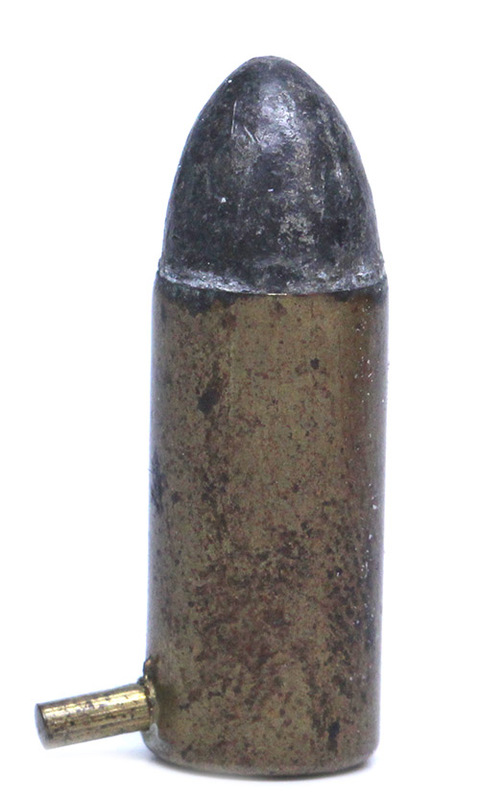 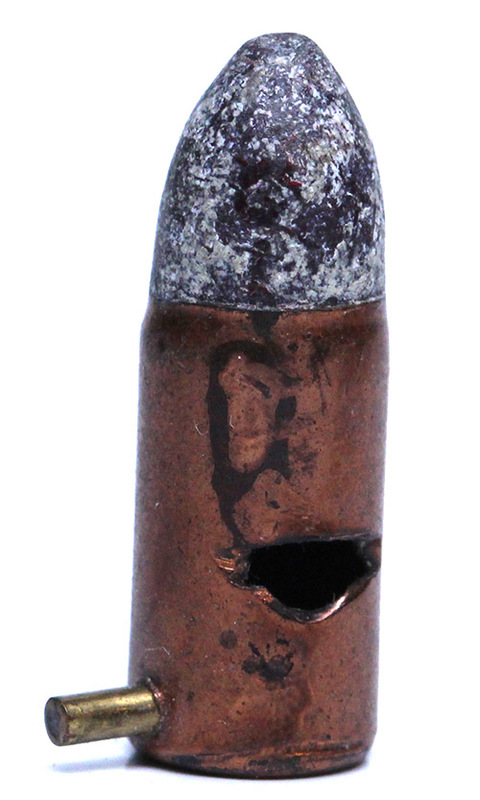 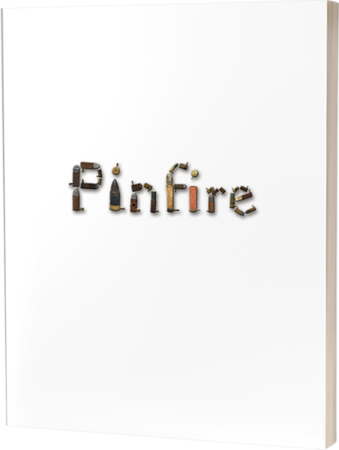 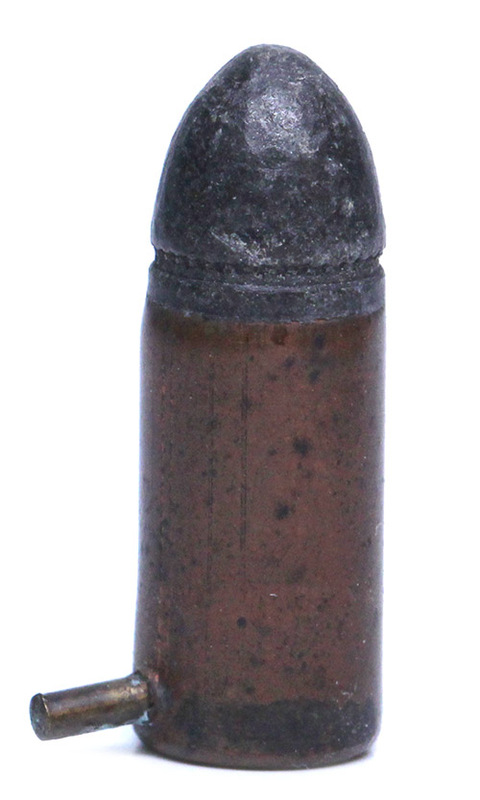 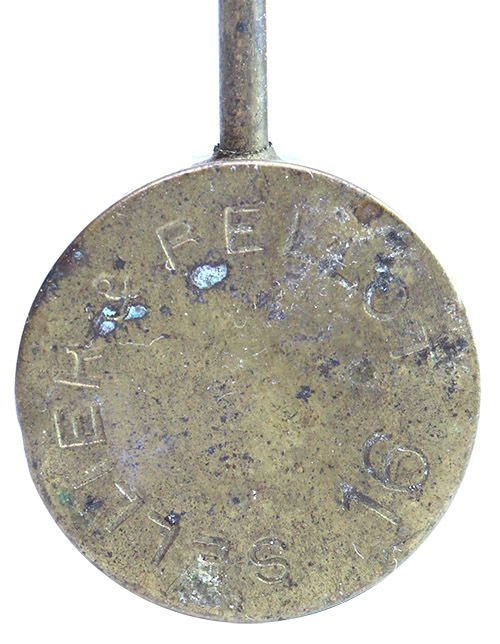 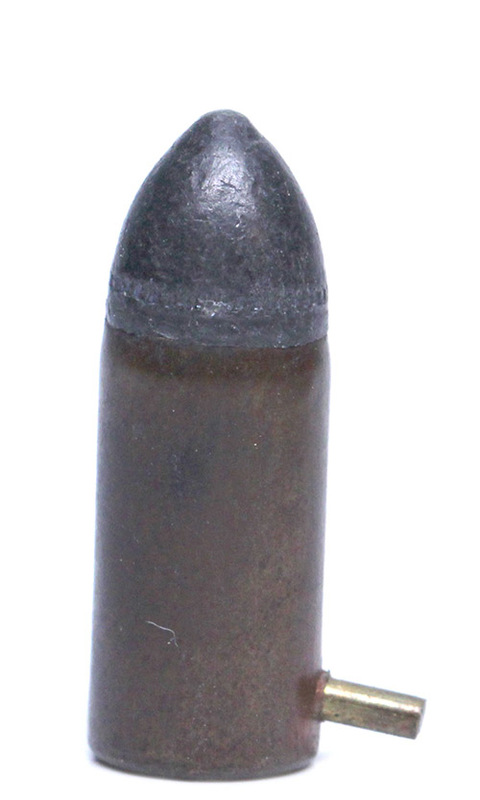 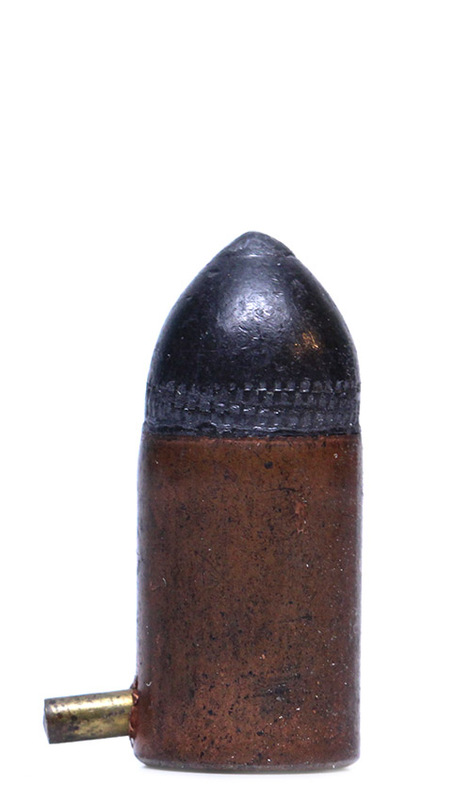 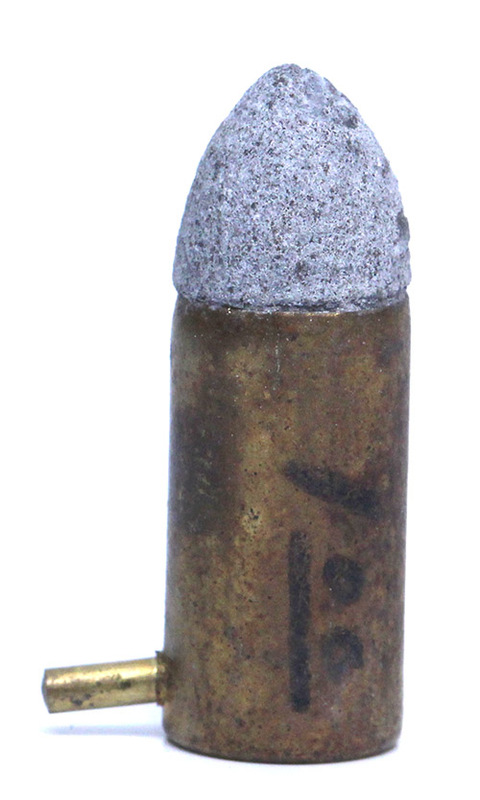 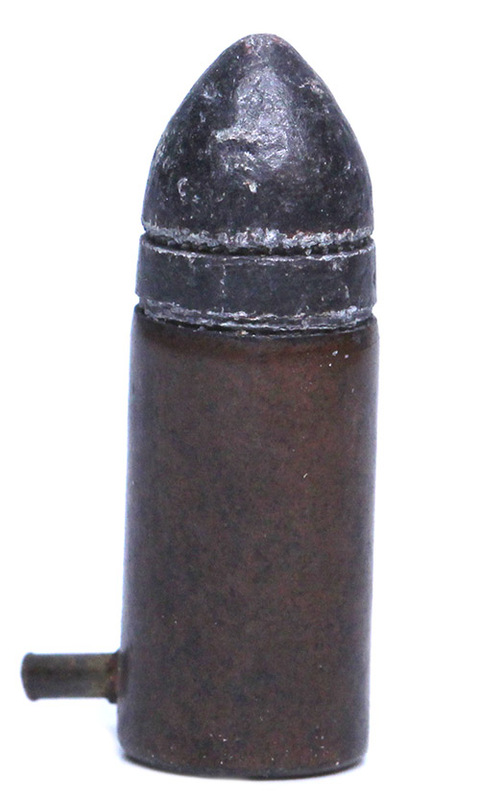 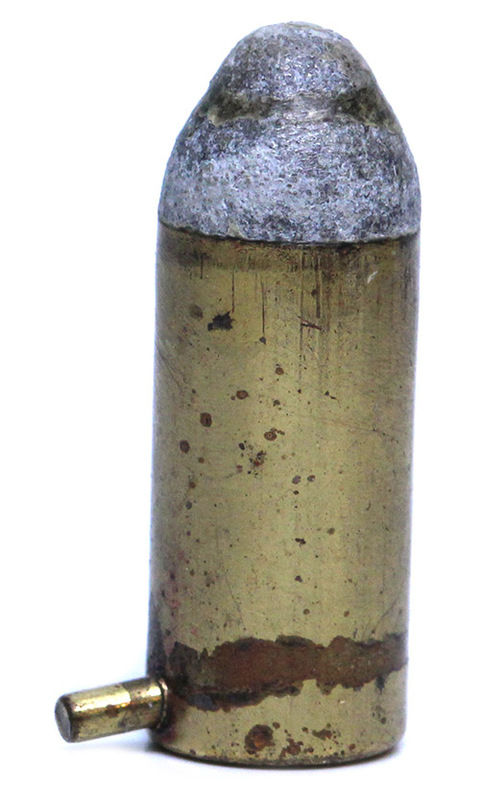 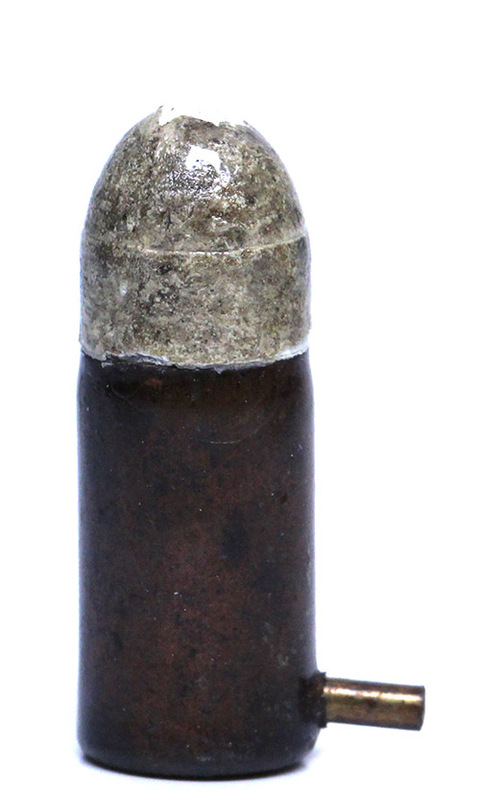 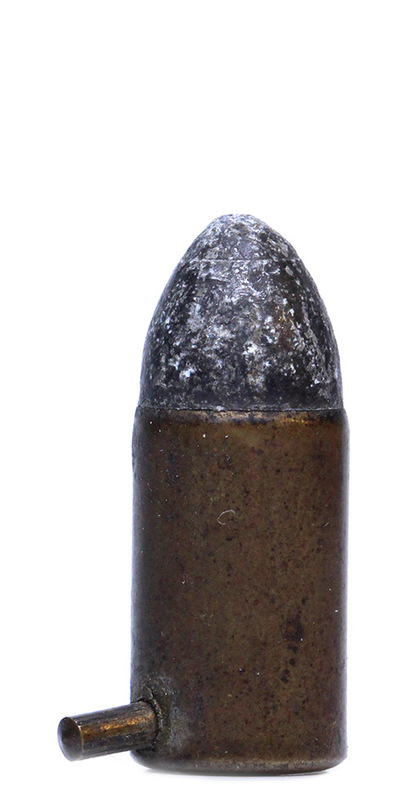 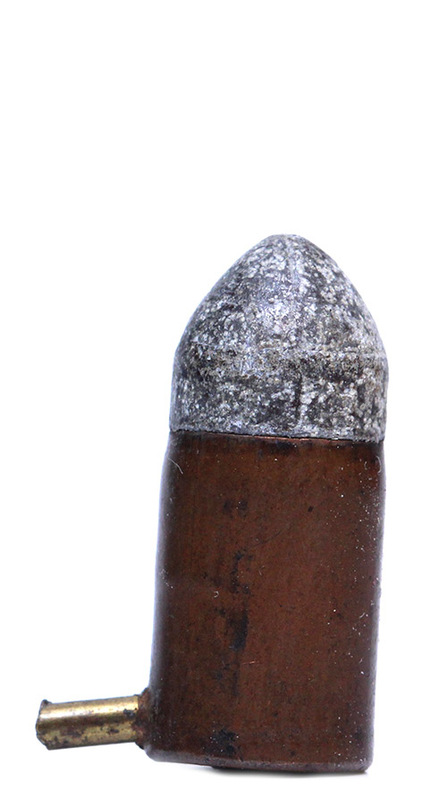 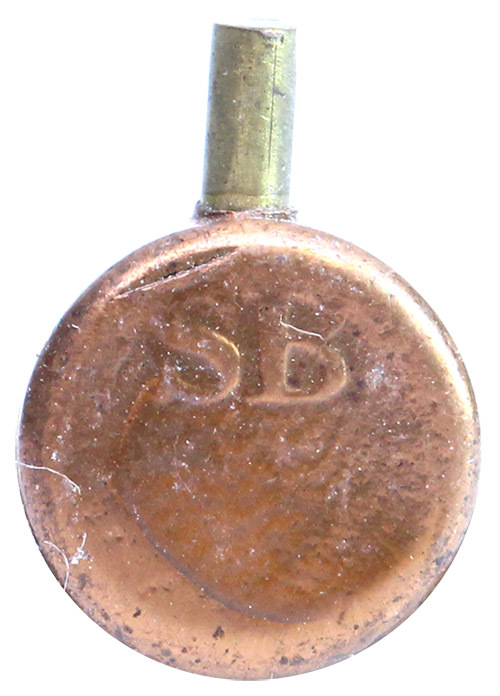 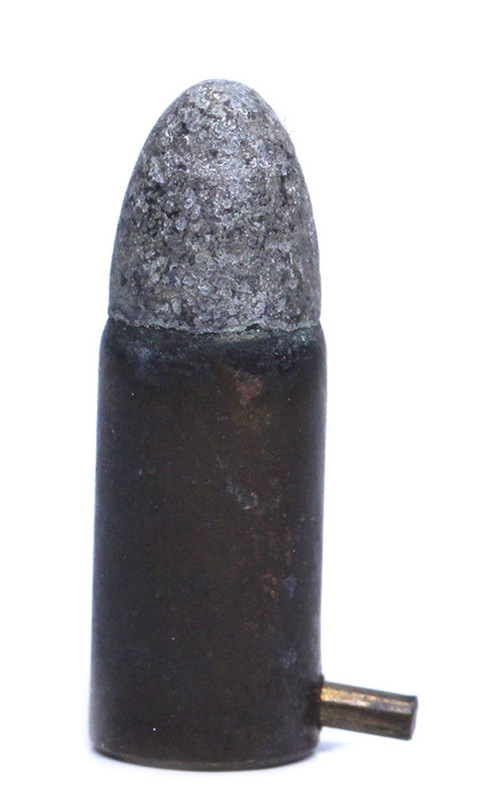 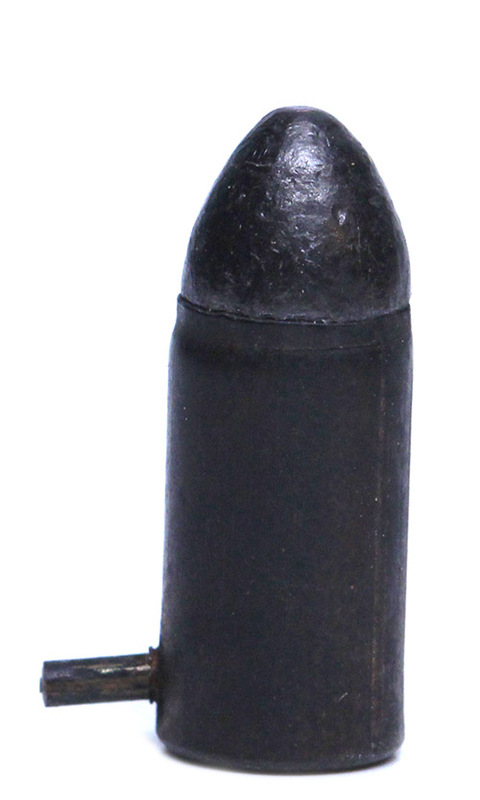 Sellier & Bellot is one of the few manufactures of pinfire cartridges that is still around today.